Located in Old Malaya – the renowned century-old building in the heart of KL, Luce Osteria Contemporanea is full of reminiscences of a true Italian spirit with warm lights and imported Pizza wood-fire oven from Italy. 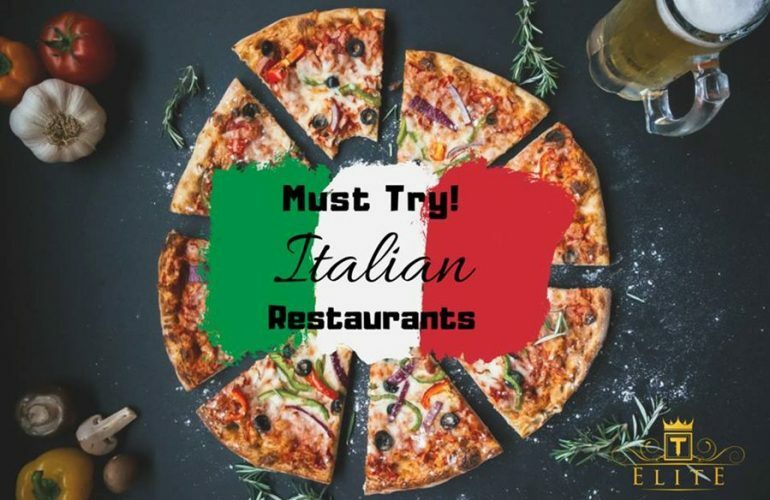 The restaurant offers a collection of 55 home-made authentic Italian pizzas along with a plethora of rustic Italian dishes in a cozy and intimate dining room. A perfect location to sit back and chill in the most Italian way. The Il Gran Tagliere is well-presented to tempt your palate with a rendition of mouth-watering cold cuts of cheese, sun dried tomatoes, artichokes and caper berries nicely interspersed. Curated for at least 6 to 18 months in Italy, the cold cuts of different flavours and textures – including Mortadella, Coppa, Salame Napoli, Smoke Speck, Italian Honey Ham and Parma Ham, are air-flown to the restaurant and carefully hand-picked to match with the 12-month-old cheese that comes along. Take a bite and mingle it with the traditional fried focaccia and you are all set! 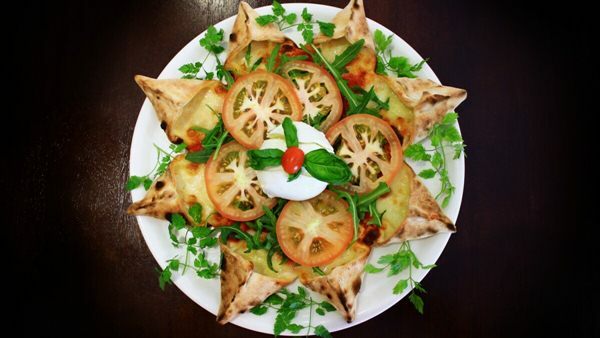 The Sole Pizza (also known as Sun-Shaped Pizza) is a delight that would capture your attention within a few seconds with its eye-catching and unique presentation. Using Burrata Pugliese cheese and fresh dough with flour imported from Italy, the pizza has a crispy skin outside yet uniquely soft texture inside that can easily entice your taste buds. The pizza is infused with a distinct smoky flavor thanks to the wood-fired oven which makes it a comfort specialty. The La Porchetta at the restaurant is a triumph in flavor which can silently trigger your salivation. The skilfully de-boned suckling pork is stuffed with high-quality pork sausage, Mortadella, capsicum, artichokes and Mozzarella cheese. Savour the porchetta with the beef stew cooked with Parma Ham that served along for an experience of pristine tastefulness. Opening Hours: Tue – Sun: 12:00pm – 1:15am, Mon: 4:00pm – 1:15am. 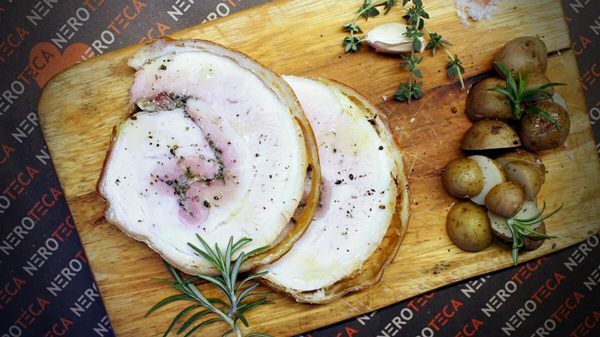 Being the first non-halal Italian restaurant and deli in Malaysia, Neroteca is much frequented by foodies who love authentic Italian dishes with pork. Bright lights, wall-to-wall wine, hanging salami and ham, the restaurant hosts a unique friendly ambience with a quaint atmosphere. 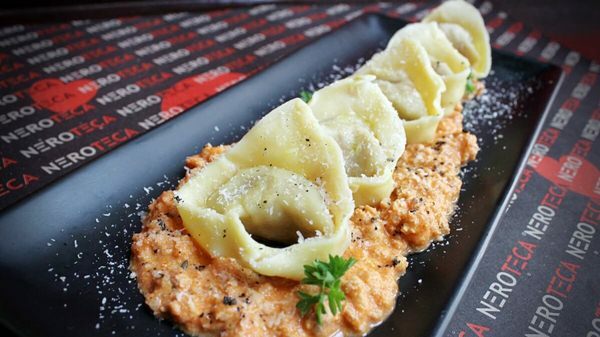 The Homemade Tortellini Pasticciati has an unpretentious look yet its taste is a stark contrast. The tortellini has mouth-watering fillings of many-month-old grounded salami, prosciutto, pepperoni, grated parmesan, grated nutmeg and egg which will entice your taste buds with full of flavors. The beef ragu sauce, with a milder taste, is a well-thought-out addition that balances the strong flavour of the tortellini. A simple yet flavorful indulgence! 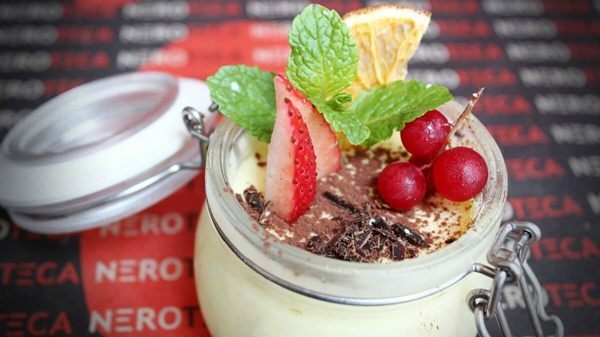 The Classic Tiramisu is a sumptuous dessert made of Italian Savoiardi biscuits and nicely presented in a glass of jar, topped with fresh strawberry, lingonberry and a slice of dried orange. The melt-in-the-mouth tiramisu is a heavenly amalgamation of moderate sweetness and bitterness. The toppings are not only splendid but also refreshing. An ideal way to end your meal! 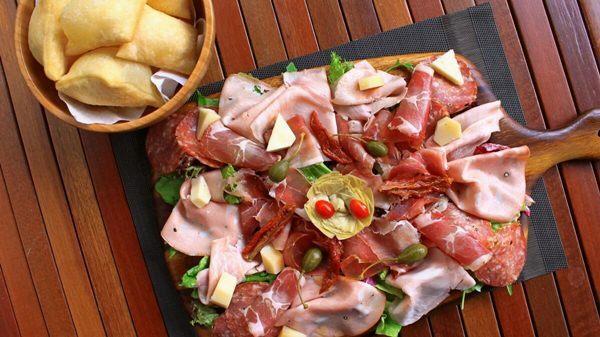 Neroteca’s La Porchetta is a signature dish that Italian food lovers simply cannot ignore. 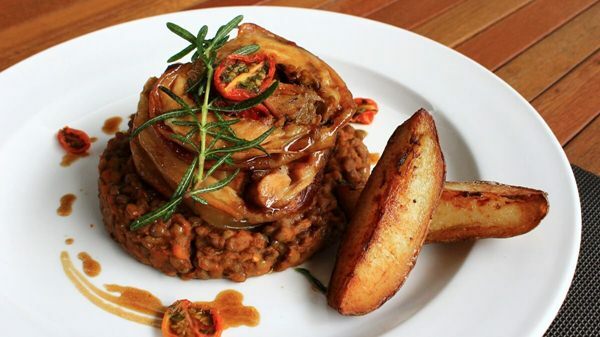 Plated on a wooden board, the mesmerizing slices of porchetta are drizzled with rich demi-glacé sauce and served with perfectly sautéed baby potatoes and aromatic house-made Roman Focaccia. The La Porchetta is a sublime indulgence with its fascinating crispy skin, well-moisturized meat as well as irresistible flavours. Savour the fork-tender La Porchetta with the made-fresh-daily bread and you will crave for more. Location: Unit G-1, Seri Bukit Ceylon. No. 8, Lorong Ceylon, 50250 Kuala Lumpur. Tucked away in the quieter side of Jalan Bangkung in Bangsar, Opus Bistro sits amongst a row of well-known establishments. Scrumptious classic Italian delights and amiable service, the restaurant has earned a number of loyal customers who are true Italian food enthusiasts. 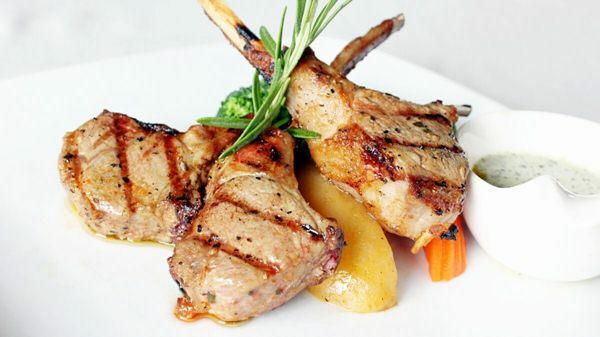 The Grilled New Zealand Rack of Lamb is a succulent dish which is so charming that one just cannot wait to devour. The three beautiful cutlets of New Zealand lambs are seared perfectly on the outside with spectacular striated texture and impeccable char. Cut into the lamb and you might have an eye-opening experience as the pinkish and tender flesh exudes a tempting juice. A value-for-money dish. The Spaghetti ala Opus is a note-worthy signature dish that will win your heart with its mild piquant flavor. 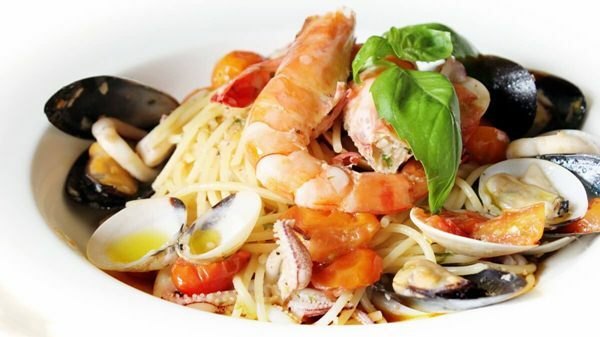 The fresh seafood are cooked on point to preserve its sweetness and juiciness while the spaghetti absorbs all the flavors and satiates the taste buds with its buttery taste. A true delight for seafood lovers. 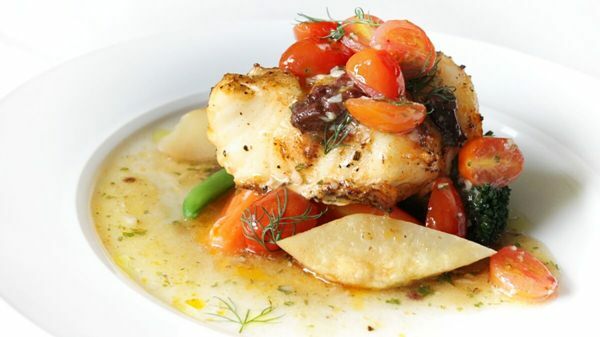 The Roasted Cod offers a generous piece of fresh cod emanating a tantalising aroma with an eye-catching presentation. Topped with sweet cherry tomatoes, black olives and sprinkled with a good dose of fresh dills, the cod is a soft-to-the-bite morsel of lip-smacking taste. Don’t forget to give the potatoes and carrots a try as their freshness won’t let you down at any bite. Leonardo’s Dining Room & Wine Loft is a quaint restaurant that might drift you back to the Renaissance the first second you step inside it. Taking its name after Leonardo Da Vinci, the restaurant is inspired to deliver not only good food but also a culture of thought and reason which reflects the modern world that we live in. The Grilled New Zealand Rack of Lamb, with its mesmerizing pinkish flesh, is a dish that you should keep an eye on. The lamb is skilfully made using blackened marinade technique which gives it a nice crust outside yet tender meat inside. Lying under the charming pieces of lamb is a bed of smooth and creamy sweet potato mash that well-balances the rich lamb racks. The fresh mint-chili sauce that comes along is also a sublime addition to the meat thanks to its aromatic flavor and fresh taste. The Leo’s Famous Pork Knuckle Platter might make you gasp in awe. A sight of the big portion of the pork knuckle with golden brown pork skin lying atop is enough to whet your palate. The pork skin is puffed up into startling little bits of crisp which results in a crunchy texture that pairs perfectly with the flavorful pork knuckle. Served along with 4 types of tangy sauce – apple cinnamon, mustard, au jus and red plum sauce, the meal is just simply impressive. The Leo’s Famous Spanish Iberico Pork Tenderloin is a must-try specialty for any pork aficionados. The well-cut pork tenderloin lies seductively on a bed of mashed potato and all-natural garden vegetable. Dip the pork into the mixture of Hollandaise and Chimichurri sauce and you might close your eyes in satisfaction as the creamy rich taste of the Hollandaise sauce and the fresh taste of Chimichurri totally enhance the juicy and flavorful pork tenderloin and play off the heavy nature of the food itself. Opening Hours: Daily: 5:00pm – 12:00am. Location: 61-1 & 61-2, Jalan Bankung, Bukit Bandaraya, Bangsar, 59100Kuala Lumpur. Sapore – the Italian, Spanish-Mediterranean restaurant, is a hidden gem in Ampang that has long been a favorite destination of those who love Italian and Spanish-Mediterranean dishes with a modern twist. Sapore means “flavours” in Italian, hence the restaurant focuses on highlighting the authentic taste of Italian and Spanish food like Jamon Iberico, tapas and a number of dishes that pair perfectly with the restaurant’s carefully curated wine. The 350g Roasted Octopus, Potato, Arugula Modena Balsamic will tantalise patrons’ taste buds with its irresistible flavor. Only high-quality Mediterranean octopus is used to cook for 3 – 4 hours with a variety of fresh herbs to bring out the best of its taste. The octopus is then marinated nicely with garlic black pepper, thyme and Spanish paprika. 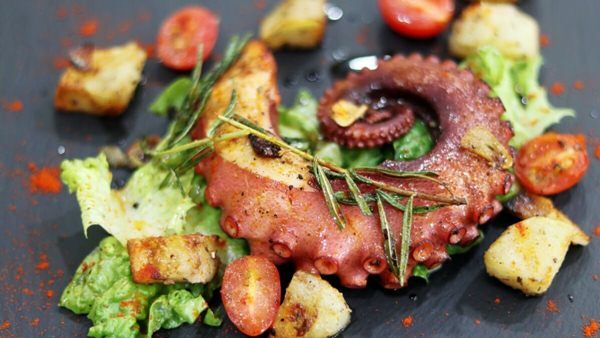 The use of smoky roasted potato and tangy balsamic dressing is brilliant as it balances the flavorful octopus. 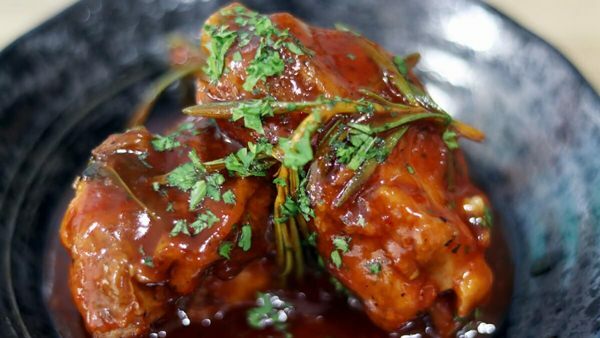 The Hot Tapas – Iberico Pork Ribs with Barbecue Sauce is a worth-trying dish when you come to Sapore. The deep and complex flavour of the Iberico Pork Ribs is enhanced by a beautiful glaze of mouth-watering barbecue sauce smoldered outside. Take a bite and the nutty, tender texture of this succulent dish will make you yearn forever more. 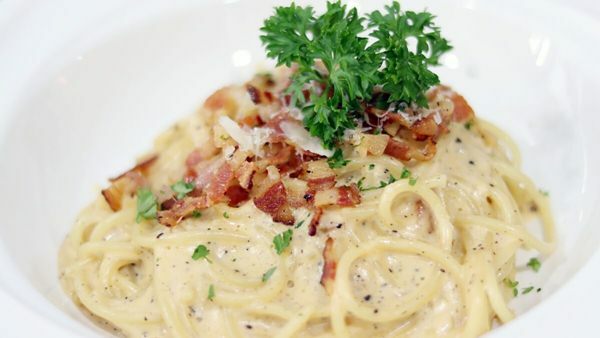 The Spaghetti Carbonara with Egg Yolk, Guaniale Ham & Pecorino is a luscious signature dish for savory lovers. Using a good dose of Guaniale ham & Pecorino cheese and natural salt made from sheep’s milk, the spaghetti has a unique buttery taste filled with a right amount of flavor. The adequate fatness and non-powering flavor of the dish is set to entice diners’ palate. A mere satisfaction that you might never want to end. Opening Hours: Mon – Fri: 11:30am – 3:00pm, 6:00pm – 11:30pm; Sat, Sun & PH: 11:00am – 11:30pm. Kikubari, located on the third floor of DC Mall, is a contemporary Japanese restaurant with a progressive menu of the finest ingredients such as Amadai tile fish, Hokkaido A5 Wagyu and Bafun uni. As Kikubari means “caring” in Japanese, the team has brought out their best to live up to its name by creating a lively and fun journey for the palate and elevating diners’ experience. The Prawn in Two Ways is a must-try delight that clearly showcases Kikubari‘s advocate of cooking from nose to tail. 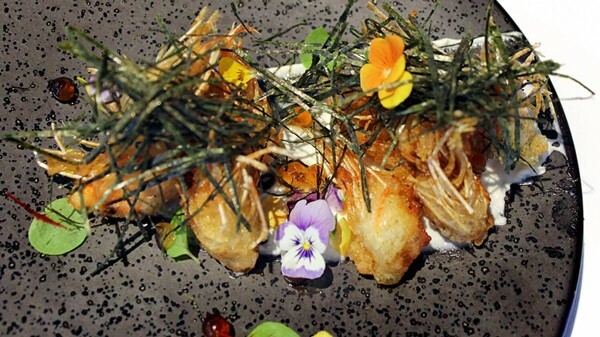 After being deep-fried, the prawn heads are placed nicely on a bed of whipped roe, trout roe, prawn-infused cream and beautifully garnished with edible flowers and seaweed strips. The prawn heads are incredibly crispy yet not even a dry texture is found as the cream does an excellent job in keeping them moisturized. The prawn body is turned into an addictive indulgence – lobster roe patty deep-fried in Katsu style and stuffed inside a home-baked sandwich with cabbage-slaw and wasabi mayo. An innovative and luscious dish. Next comes a seductive dish that might make you gasp in awe – the Supreme Seafood Capellini. 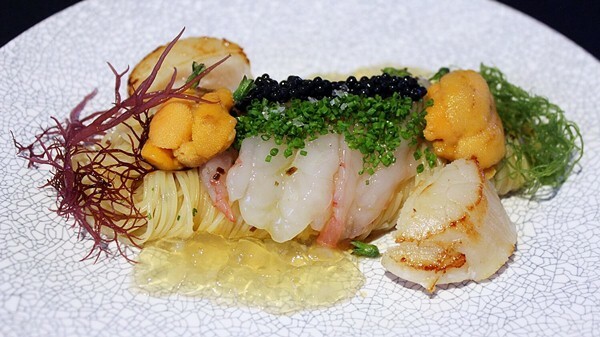 Fine strings of the heavenly delicious angel hair pasta is swirled skilfully, topped with uni, scallop, arenkha roe, hojiso and a trio of melt-in-the-mouth gifts of the sea – amaebi, botan ebi and moruno shrimp which exude sweetness into the pasta. On the side, the Tarabagni (king crab jelly) is a unique ingredient that jazzes up the dish and teases diners’ taste bud with its sublime flavor. The dish is drizzled with the house secret truffle-konbu sauce which gives the pasta a subtle aroma and makes it incredibly smooth. 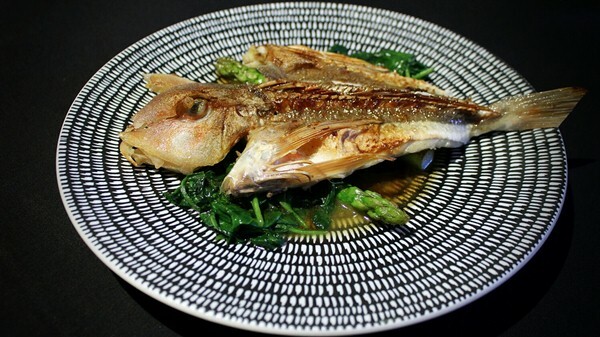 This Pan Seared Seasonal Japanese Fish is something you should catch an eye on when you come to Kikubari. The fish is seared perfectly to “à point” which is being cooked to the exact point to still preserve its freshness and juiciness. 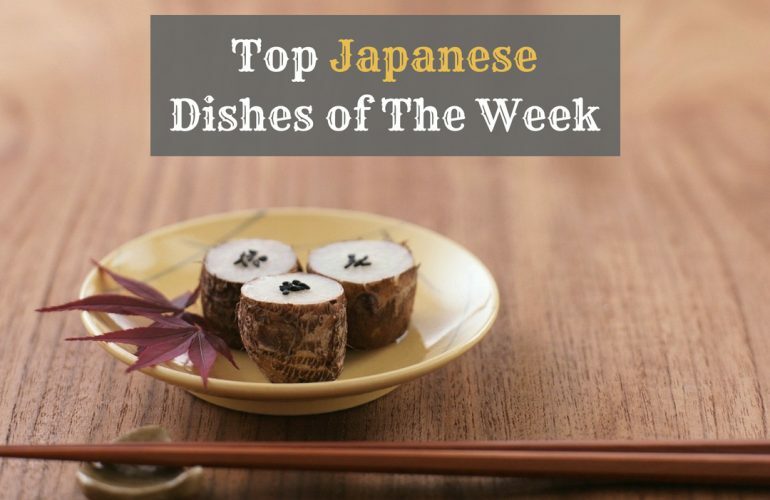 Only the best-of-the-season fish are chosen and air-flown from Japan to be used for the dish. Crispy outside yet lusciously juicy inside, this extraordinary seared fish is a dish seafood lovers cannot ignore. Opening Hours: Mon – Sat: 6.30pm – 10.30pm. Closed on Sundays. Searching for a cozy Japanese restaurant which serves premium delights? Kimi-Ya is the place you should head to. Sumptuous yet affordable with fresh air-flown ingredients delivered directly from Hokkaido, all the dishes here are skilfully curated and presented with attention to detail. The restaurant is a must-visit place for those who love casual dining, amiable service and lavish authentic Japanese food. This Ume Sashimi Moriawase (7 types) is a pure indulgence for any sashimi aficionados. 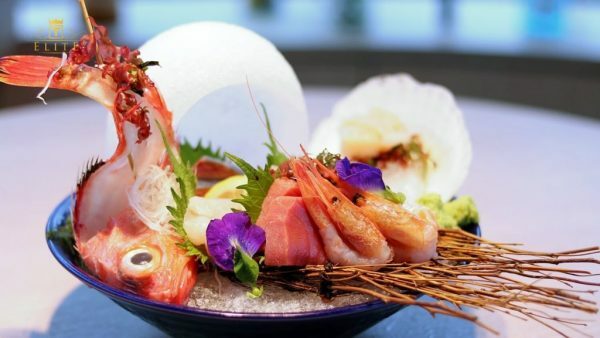 7 types of freshest Japanese air-flown delights – including Bluefin tuna, kampachi, Otoro, octopus, amaebi (sweet prawns), scallop and salmon, lies opulantly on a bed of ice. The Bluefin tuna and Kampachi will tantalise diners’ palate with their sweetness and freshness. 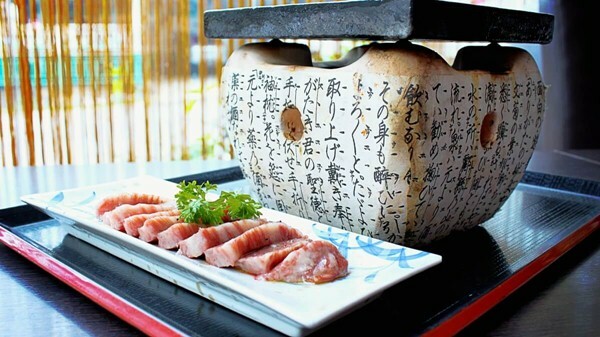 The Otoro cuts look tempting at the first glance and will satiate patrons’ taste buds with its satisfactory fatness. The octopus is crunchy and briny while the amaebi, scallop and salmon will capture your heart with their buttery and creamy texture. A dream come true. Be prepared not to get hypnotized by the gorgeous marbling and aroma of this Goushuu No Wagyu Steak (120 gm). The highest-graded A5 Wagyu steak is served sizzling hot which might trigger your involuntary salivation within a few seconds. The palatable fatness and sweetness of the beef quickly dissolves in the mouth and its intense beefiness and richness are well-balanced by the vegetable that comes along. A real winner of taste and value-for-money department. Finally, whet your appetite with this Yaki Taraba Kani (300g). 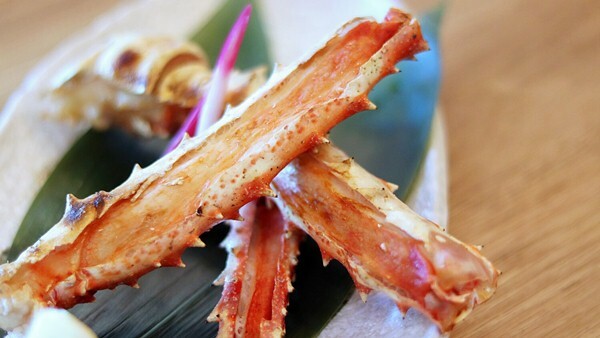 Succulent pieces of Alaskan King Crab Legs are placed neatly and garnished with nice petals. The high-quality legs are grilled to perfection to maintain its protein and juiciness. The scrumptious delight exudes an irresistible sweet and briny smell with a refreshing and succulent taste. A warm-hearting treat for diners! Opening Hours: Mon – Thu: 12:00pm – 3:00pm, 6:00pm – 10:30pm; Fri – Sun: 11:30am – 3:00pm, 6:00pm – 11:00pm. Location: G-2, Avantas Residences, 162, Jalan Klang Lama, 58000 Kuala Lumpur. 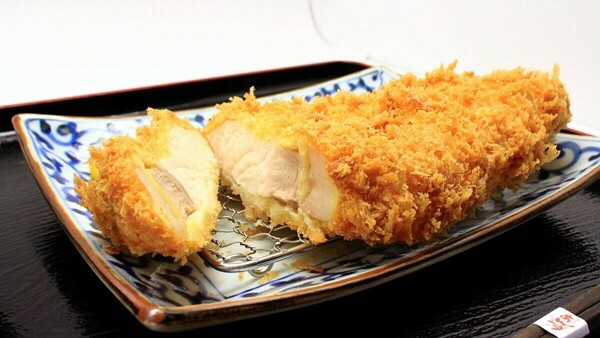 Situated at the Japanese food heaven – ISETAN The Japan Store, Tonkatsu Anzu are among those eateries that are much frequented by foodies and food critics in town. The restaurant focuses on a menu of an artisanal approach to its flavours, using premium Kurobuta black pork to achieve “melt-on-your-tongue” homemade dishes. The Rice with Green Tea with Pork Fillet Katsu is not only rich in taste but also in aroma. The pork fillet is covered by a light golden layer outside while the meat itself has a right amount of fat that keeps it well-moisturized inside. The green tea does a great job in infusing a distinct scent into the meat and balancing the greasiness from the pork fat. Apart from it, you can always indulge yourself in refillable fresh cabbage, soup and Japanese pickles that come with each Katsu set. The Hot Pot Pork Loin Katsu Set is a heart-warming dish of succulent pork loin you should opt for in a rainy day. The high-quality Kurobuta black pork is deep fried skilfully before being smothered in the restaurant’s special sauce and fresh beaten egg. This hot pot pork loin has a juicy goodness that one could hardly resist and it is delicately soft. A soothing dish to warm your hungry stomach. 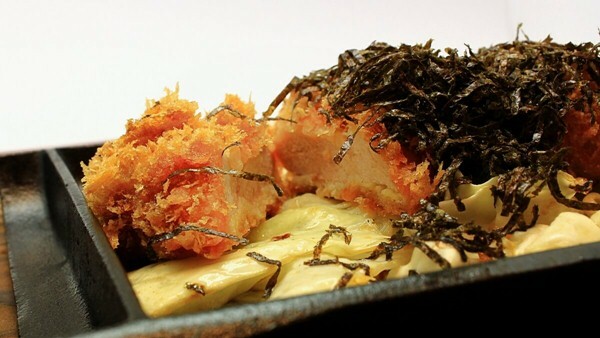 The Gin-jo Pork Fatty Loin Katsu Set is a classic pork loin dish that won’t let you down at any second. The pork is coated with batter before being fried to perfection. Under the beautiful golden brown and crispy batter, the slight fat oozing from the premium pork makes the meat soft and juicy. The homemade tonkatsu sauce and fresh refillable side dishes that come along are a heavenly combination for the dish. Opening Hours: Daily: 11:00am – 3:00pm, 6:00pm – 11:00pm. Touan is a notable Japanese restaurant serving a variety of authentic Japanese food, especially Yakitori and Robata-yaki, by skillful Japanese chefs. 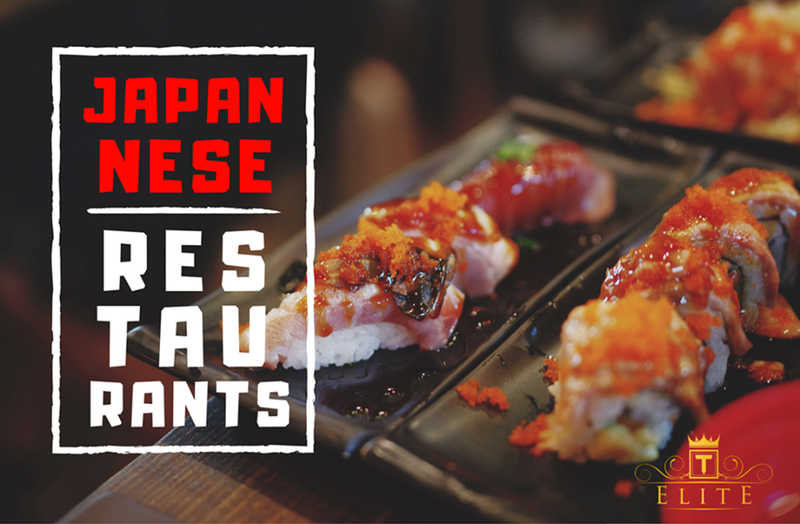 With a menu made of fresh ingredients mostly imported from Japan and a special homemade sauce which has been improved for 15 years, the restaurant is a must-go dining spot for any Japanese food enthusiasts. 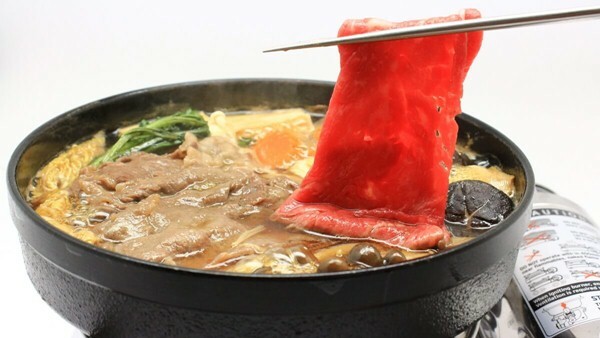 Ever dreamt of dipping a slice of the gorgeous Wagyu beef into a pot of boiling hot Sukiyaki soup? 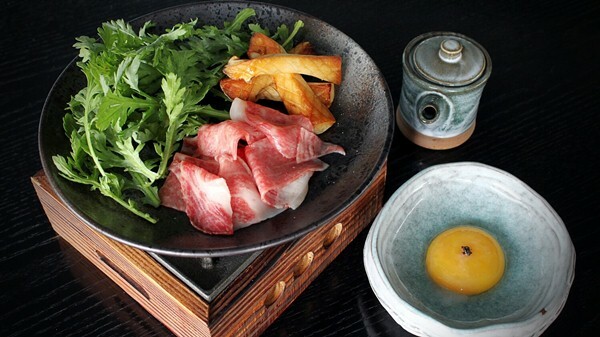 This flavorful Sukiyaki with Special Wagyu will make your dream come true. The sublime delight would whet the palate of any Sukiyaki lovers as the Wagyu beef, with its melt-in-the-mouth goodness, will tantalise the taste buds and might even make your eyes close in admiration. Dip the beef and assorted vegetable into the smooth egg yolk and voilà, you are in for a gastronomic treat. 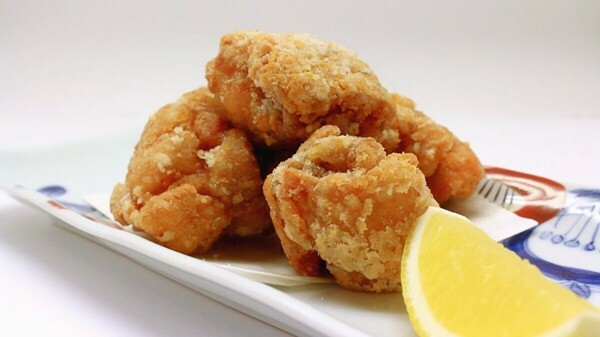 If you are a big admirer of deep fried chicken, you would definitely fall in love with this Fried Chicken Thigh “Karaage”. The dish has a deceptively simple look to let its taste be the star. 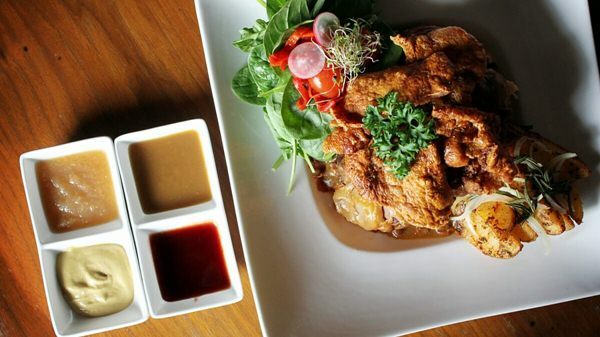 The chicken is well-marinated in a mix of soy sauce, 2-flour batter and cooked inside the boiling oil until it’s fried on point. The chef succeeds in keeping the karaage a light and crispy layer outside while its succulent meat is totally not dry at any bite. As Touan is famous for Yakitori and Robata-yaki, there is no reason why you should not try the famous 5 Types of Assorted Yakitori. The charcoal-grilled skewers have a palatable smoky flavour and are drizzled with a mixture of sake and salt. Flawlessly crispy skin, juicy meat that makes you eat down to the bones and superb rich flavour that lingers on your tongue, the dish is simply a lip-smacking indulgence. Opening Hours: Daily: 11:00am – 3:00pm, 5:00pm – 11:00pm. Location: 4th Floor, ISETAN The Japan Store, LOT 10, No. 50, Jalan Sultan Ismail, 50250 Kuala Lumpur. Still want more? View our ELITE Review on Free Signature Dishes at Top Japanese Restaurants in Klang Valley (Part 3)! Should you want to experience what melt-in-the-mouth is like, don’t hesitate to head to Ishin Japanese Dining and get this mesmerizing Sushi Deluxe. 8 beautiful pieces of seasonal sushi – namely kikin, tuna, butterfish, salmon roe, sea urchin, prawns, salmon belly and egg sushi, are skilfully curated to tantalise the taste buds. 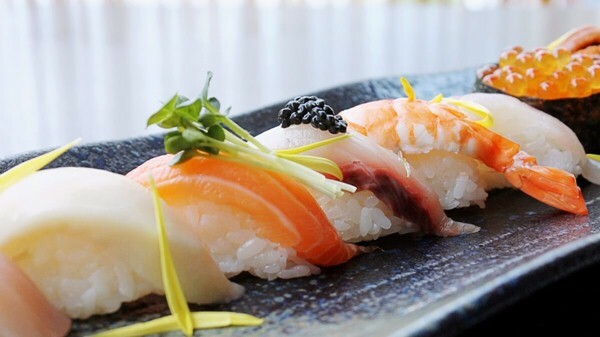 Garnished on top of the sushi are fine condiments such as kinome leaf, black roe, yuzu skin which are hand-picked to pair perfectly with each sushi and to enhance its flavours. A ravishing dish for sushi lovers! If you are scampering for sashimi, prepare to whet your appetite with this Chef Special Sashimi which includes 7 kinds of freshest and finest air-flown seasonal sashimi from Japan’s famous Tsukiji market. Be overwhelmed with skilfully and meticulously cuts of gorgeous pieces of sashimi – including Kampachi, shimaaji, scallop, amaebi, salmon belly and chu-toro, which recline seductively on a bowl of ice. Find yourself kissing the sea with each piece of sashimi and satiate your taste buds with its natural sweetness, freshness, and creaminess. Splendid! 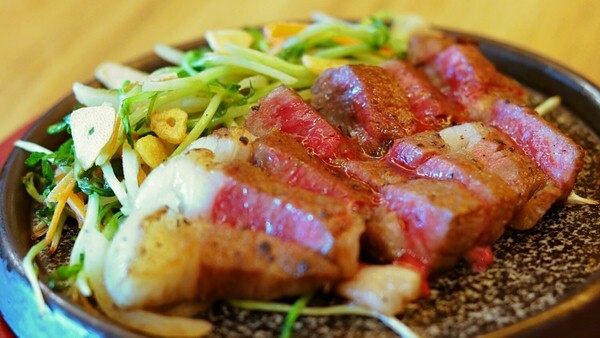 Warm up your palate with the Wagyu Stone Grill and you will crave forever more. 100gm of A5 Wagyu beef – the highest grade of the delectable Wagyu beef, is cooked in front of diners to entice all the senses. One who tried the dish would not forget its heavenly delicious taste as well as the juiciness and smoothness of the meat which might make you feel flabbergasted. Rich, fat-friendly and melt-in-the-mouth, the premium quality beef has everything you could ask for. Opening Hours: Daily: 12pm – 3pm, 6pm – 11pm. The Hamaguri Aglio Olio with Grilled Salmon is a quintessential pasta dish packed with flavour without being overpowering. Slightly seasoned, the pasta will make you in awe with its smooth texture and its bit of garlicky flavor is a match for the sweet and briny taste of the clam. The grilled salmon, with no doubt, is a perfect addition which compliments the pasta with its subtle and refreshing taste. 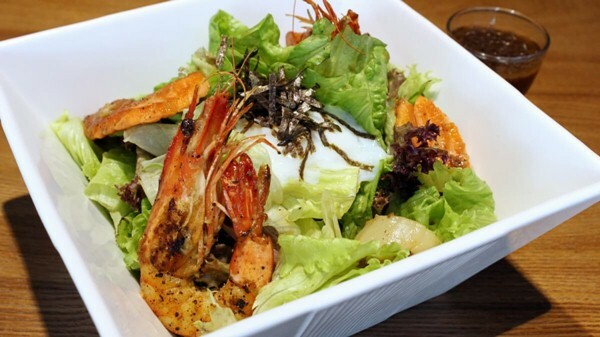 The Kaisen Aburi Salad is a dish of unpretentious look yet bursting flavor. The salmon aburi has a melt-in-your-mouth goodness and exudes a slight sweet taste which is simply divine. The prawn aburi will tempt your appetite with its aroma and the vegetable is a great companion which balances the taste of the aburi with its fresh and crunchy texture. An extraordinary way to pamper your taste buds. 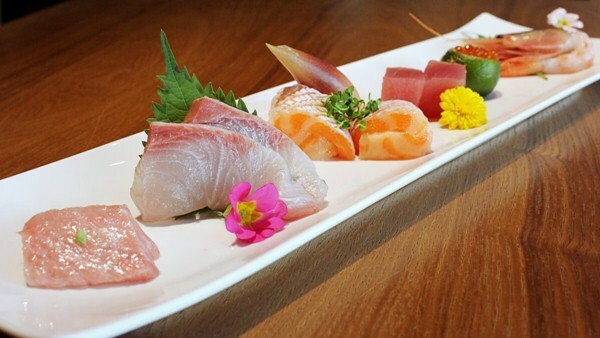 Finally, don’t miss out Hana Premium Sashimi 6 Kinds – an angelic beauty and sublime indulgence. 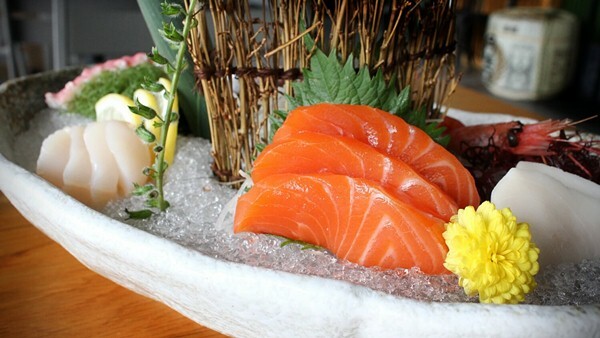 Specially curated with pieces of the freshest melt-in-the-mouth sashimi, the dish is hard to resist. 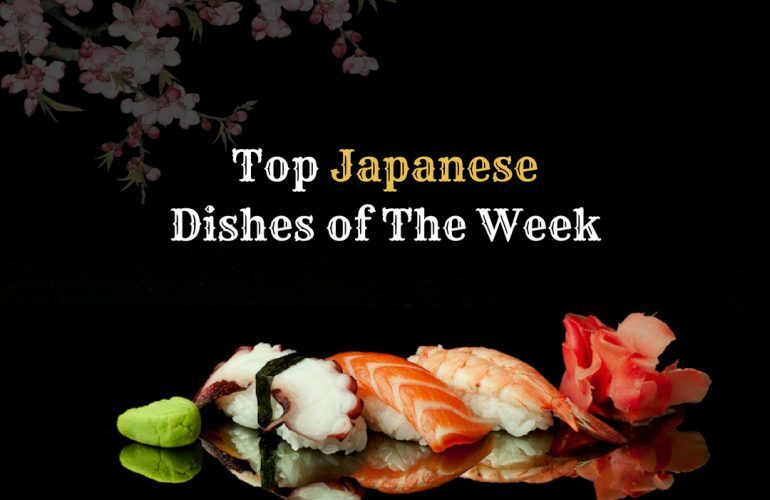 6 kinds of fresh roe and subtle cuts – including salmon, maguro (tuna), toro (tuna belly), amaebi (sweet prawns), kanpachi (amberjack) and salmon roe, are plated uncomplicatedly yet sophisticatedly to honor the simplicity of Japanese cuisine. A luscious delight! Opening Hours: Sun – Thu: 11am – 11pm, Fri – Sat: 11am – 1am. Location: OB2.G.U1, Oasis Boulevard, Ground Floor, Sunway Pyramid, No. 3, Jalan PJS 11/15, Bandar Sunway, 46150 Petaling Jaya, Selangor. 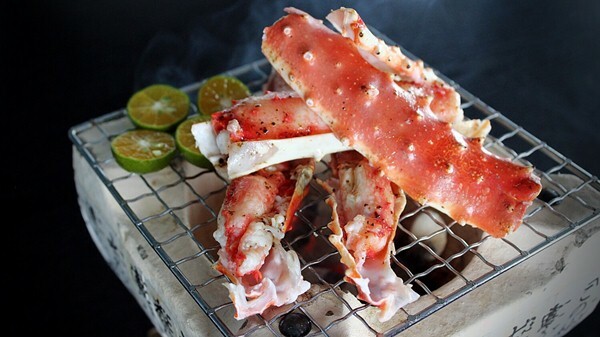 Alaskan King Crab has always been an all-time favorite of any seafood lovers and if you are someone who are into this highly sought-after crustacean, you would totally fall in love with the Charcoal Grilled Alaskan King Crab at Babe. Served on a charcoal stone box, the King Crab absorbs a unique smoky aroma which helps enhance its umami flavour. The natural sweetness, juiciness and health benefits from the Alaskan air-flown crab make it an irresistible delight that you should not miss out when you come to the restaurant. If you have a penchant for something that is not complicated, the Ootoro Spring Roll is exactly what you need! 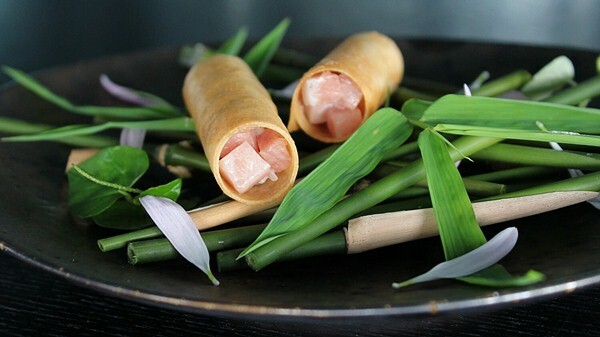 The dish – including two pieces of eye-pleasing Ootoro spring rolls lying on top of bamboo twigs, is an epitome of what finest simplicity should be. Take a bite and you will be stunned by the satisfying crunch of the shells, following by a superb fresh and soft texture from the beautifully chopped fatty Ootoro, a hint of spiciness from the wasabi, the tangy flavour from Myouga and a savoury taste from the soy sauce gelée. This simple dish is a perfect combination of flavours and a dream come true! The Truffle A4 Wagyu Sukiyaki might make you pause for a moment to admire the gorgeously marbled strips of the A4 Wagyu beef. Served hot on a wooden chafing box warmer, the dish truly honors Babe‘s concept of using fresh produce and seasonal discoveries. The high-quality beef blends well in the sukiyaki sauce and its healthy fatness mingles nicely with the fresh Japanese vegetables – which are grown on the chef’s rooftop garden. 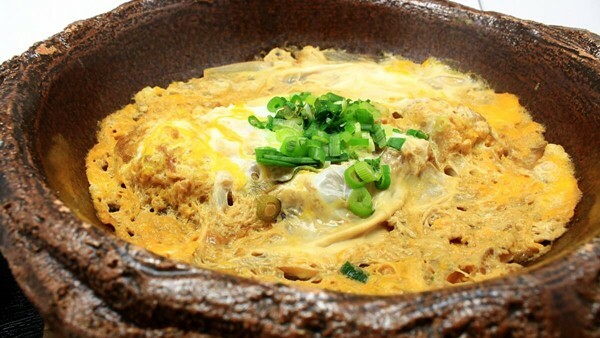 Dip the Wagyu beef into the truffle-infused egg yolk and you are in for a lip-smackingly gastronomic treat! Opening Hours: Tue – Sun: 6pm – 11pm. Closed on Mondays. 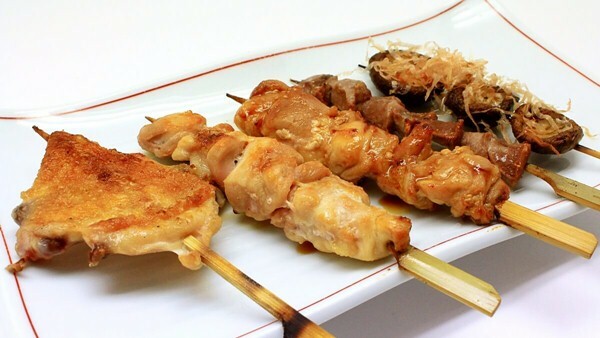 Longing for succulent yakitori to pair with a bottle of sake? 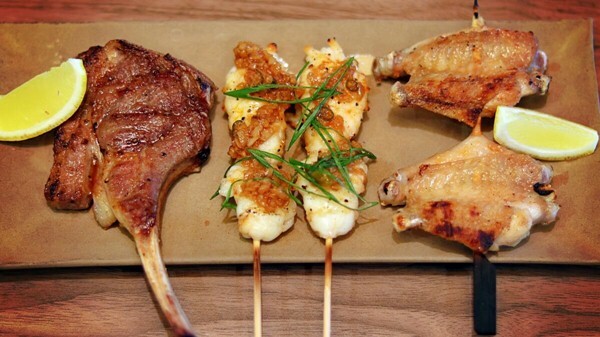 The Signature Yakitori Set at Kouzu will satisfy you with skewers of mouth-watering charcoal-grilled New Zealand Rack of Lamb, Rock Lobster, and Chicken Wings. 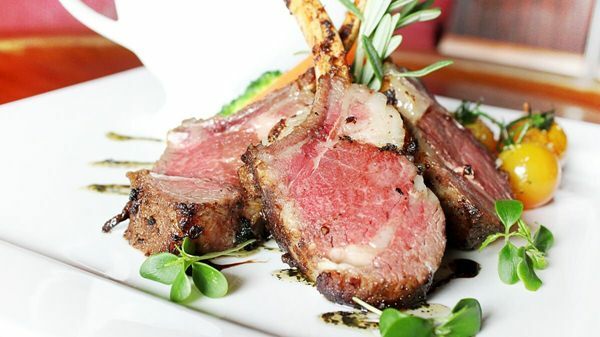 The skewers will make you in awe with its crusty skin outside yet totally juicy inside – the New Zealand rack of lamb is a tender delight which is grilled to perfection, the rock lobster immerses in a mix of fine condiments which make it a flavourful indulgence while the chicken wings are luscious down to the bones. If you are quite an adventurous person, this unusual pizza is something you should not miss out. 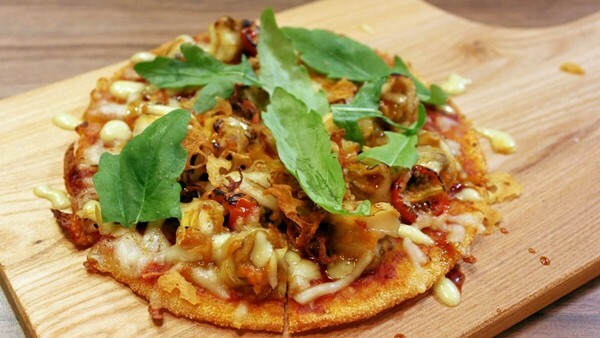 The 4-inch Japanese Escargot Pizza is a crunchy delicacy made from sushi rice instead of dough! 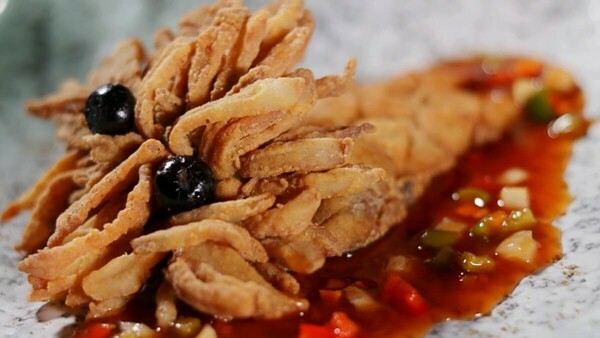 This unique creation is topped with crunchy escargot smothered in sweet teriyaki sauce – an exciting dish and of course, a sweet treat, for anyone who are willing to go for something new! This Signature Japas Set is everything you could ask for! The Pan Seared Tuna & Foie Gras is a scrumptious delight which is perfectly balanced in taste and the cinnamon apple compote that comes along will trigger your involuntary salivation. The Creamy Baked Oyster, served on a bed of salt crystals and grantinéed with cheese, wins the hearts of patrons for its creamy and velvety texture. 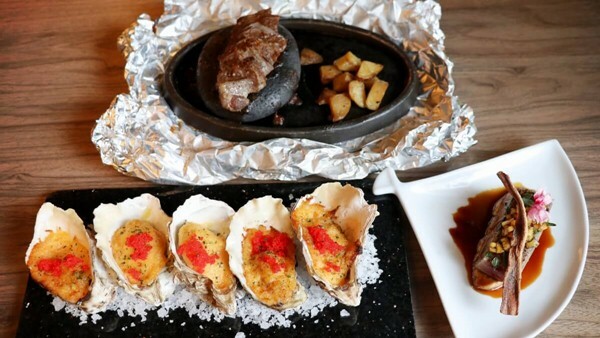 Finally, the Stone Grilled Sirloin is a must-try signature japas for igniting all the senses – the mouth-watering smell of freshly charred beef, the sizzling sound of sirloin on the hot stone and the mysterious tin foil wrap, a pure pleasure! Opening Hours: Daily: 4pm – 1am. Location: 18, Lorong Datuk Sulaiman 1, Taman Tun Dr. Ismail, 60000 Kuala Lumpur. Craving for more? 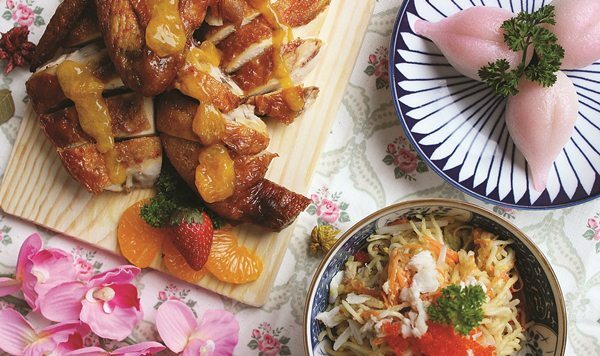 View our ELITE Review for Free Signature Dishes at Top Japanese Restaurants in Klang Valley (Part 2)! Pak Loh Chiu Chow, located in the heart of Kuala Lumpur, has never failed to impress diners with its authentic Teochew-style (Chiu Chow) Chinese cuisine. This is the place where you can find yourself immerse in a classical Chinese ambience amidst furnishings specially brought in from China. 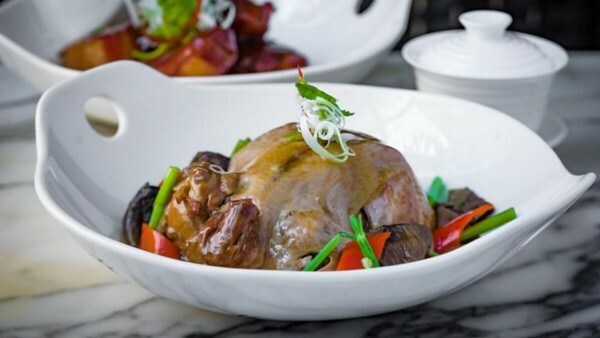 The restaurant is a unique dining spot to enjoy the only Slow-Braised Goose in town, or the only menu offering pork dishes in Feast Village, Starhill Gallery. Due to its meticulous preparation, The Braised Spring Chicken is a rare-to-find dish these days. Only a 21-day old 600g spring chicken is used for cooking. The hollowed-out chicken is stuffed to the brim with glutinous rice, Chinese ham, chicken feet and rare straw mushrooms before being braised for 2 hours. Delectable, rich in collagen, extraordinary soft; it is no wonder that the dish has won the hearts of many gourmets. Only the best bar-bar-headed geese air-flown from Hong Kong daily are used to make this gorgeous dish of Slow-Braised Goose Fillets. After a few hours of preparation, the goose meat soaks up all the well-balanced braising stock which has been heavily guarded by Pak Loh Chiu Chow since the last decade. 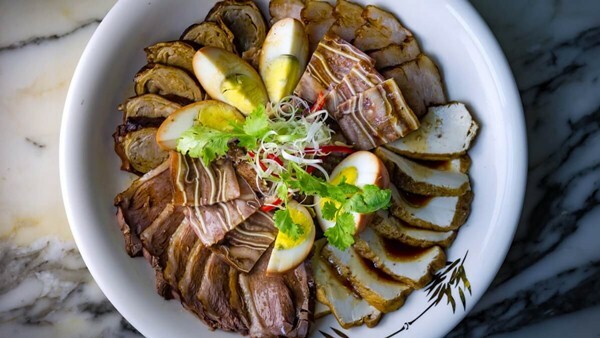 Take a bite into this superb flavorful combination of goose fillets, pig’s ear, pig’s intestine, egg and bean curd and you will have a true heavenly indulgence! The Baked Sweet and Sour Spare Ribs features pork ribs with glorious layers of lean meat and fat. 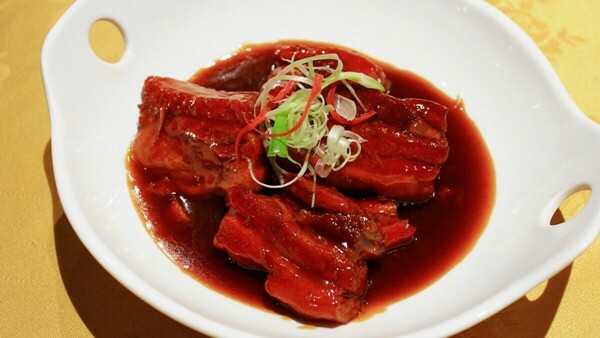 The ribs have a melt-in-the-mouth tenderness yet are not greasy thanks to its pleasant sweet and sour hint of the thick red sauce coated. This sumptuous sauce is naturally coloured using fermented red yeast rice which is commonly used in Chiu Chow cuisine. Pair this fork-tender and delectable meat with a bowl of steamed rice and you are all set! Opening Hours: Daily: 10am – 10pm. Step into Luk Yu Tea House and you will be welcomed by a warm ambience reminiscent of villages in ancient China that will transport diners back to the bygone era. The restaurant is a vintage place where you can indulge yourself in a scrumptious pork-free menu offering steaming fresh Hong Kong dim sum and a comprehensive range of Chinese delicacies and take a sip of fine teas from Taiwan and China. The dim sum set is perfectly cooked to the diners’ satisfaction. The Steamed Chicken and Prawn Dumpling – also known as siu mai, is taken to another level as it is freshly packed with full of flavours unlike any others. Next comes the Steamed Shanghainese Chicken Dumpling “Xiao Long Bao” which will live up to your expectations! This tantalizing, dreamy dumpling has a perfectly chicken seasoned filling and rivers of hot, flavourful soup. The har kau is unique for its ‘skin’ which has the right amount of thickness for texture. This slightly thicker skin does not dampen the experience of biting into the succulent, fresh prawn fillings one bit. The Doubled Boil Abalone Dumpling in Superior Soup is filled with aroma and flavors that could only emerge through long hours of double boiling. A bite into this delight can make your mind blow! 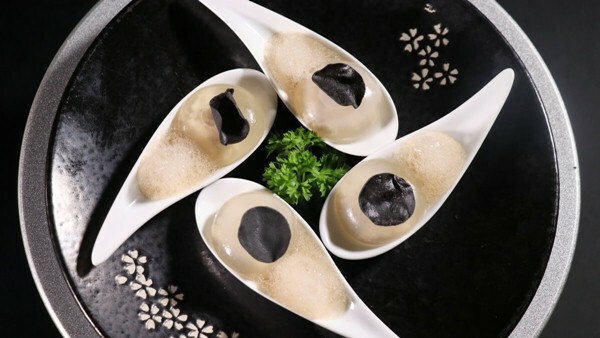 The dumpling skin has the perfect texture to enhance the naturally buttery and briny taste of the abalone which is then complemented by the deliciously delicate soup. The sweet taste of the abalone will linger in your mouth and make you crave for more! Crispy outside yet tender and juicy inside, this Pan-fried Lamb Chop with Chef’s Specialty Sauce is something lamb lovers should not miss. 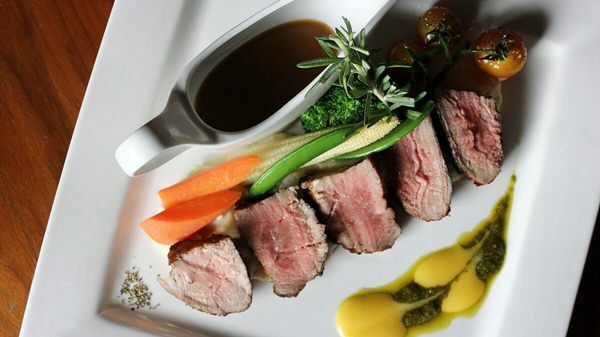 The Chef’s specialty sauce is blended well with the lamb which then enhances the lamb’s gamy and sweet taste. The best way to figure out the taste is of course, to go ahead and give it a try! One who comes to Way Modern Chinois will be overwhelmed with the restaurant’s contemporary furnishings and its sophisticated and exquisite fine dining Chinese menu with a twist. If you are Chinese food enthusiasts and avid foodies, this is where you simply belong to! These following three signature dishes are a must when you visit the restaurant. 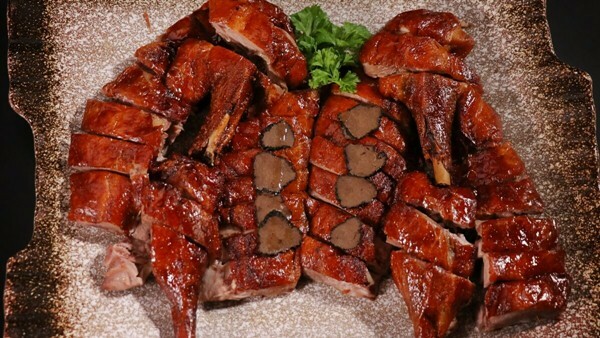 The Truffle Roast Duck is a perfect specialty for duck and truffle lovers! The duck is marinated with truffle sauce, double roasted with truffle oil and topped with truffle slices – a true dreaming dish and a pure indulgence for any gourmet hunters. Roasted to perfection, the duck has a crispy skin to die for and its thick truffle sauce will fill your palate with umami-goodness. Due to its demanding requirement, the dish needs to be pre-ordered 24 hours in advanced. Next comes Trio Dim Sum Collection which includes “Skinless” XLB 特色小笼包 (4pcs), Pac Man Dumplings 四川虾饺 (4pcs), and Golden Rose Wanton 玫瑰云吞 (5pcs). 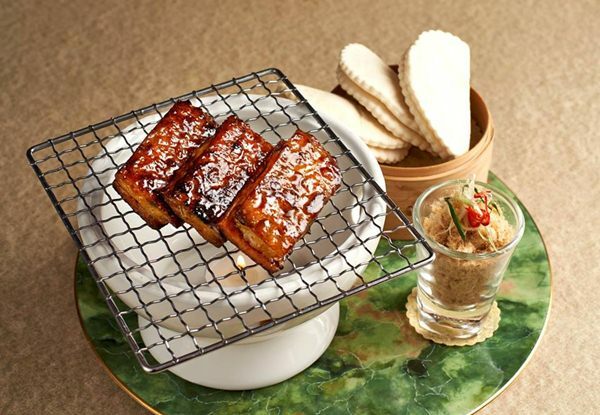 With its eye-pleasing presentation, the dim sum collection can capture any diners’ hearts! The “Skinless” XLB, wrapped in a transparent skin, will whet your appetite with its sumptuous broth and minced meat which is topped with tangy foamy ginger and vinegar dip. The Pac Man Dumplings will satiate your palate with fresh steamed prawns marinated in Szechuan spices and spicy ponzu. The Golden Rose Wanton is a stunning dish with crispy prawn dumplings and dashes of red sauce that makes the dumplings look like a real rose – good-looking and tasty. Finally, Crispy Lion Fish! Don’t worry, it’s not the endangered species we are talking about! The dish is indeed a deep-fried sea bass in disguise! The fillet is cut skilfully and deep fried until it opens up, nicely moist underneath the light brown crust. Dip the fish inside the sweet and sour sauce and your taste buds will be delighted with every piece. A hearty dish of the fresh-water fish! Opening Hours: Mon – Fri: 12pm – 3pm, 6pm – 10:30pm; Sat – Sun: 10am – 3pm, 6pm – 11pm. Lai Ching Yuen at Grand Millennium Kuala Lumpur has always been a must-go place for Chinese cuisine lovers for their scrumptious extensive menu made with high quality ingredients and nostalgic dishes that depict ancient Shanghai. 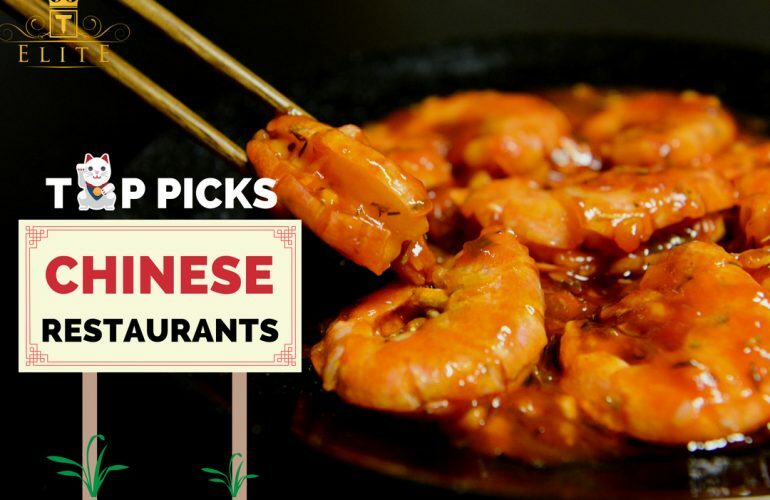 Remember to dive in their signature dishes including roast suckling pork, assorted meat, delicate dim sum, exotic live seafood, abalone and more. 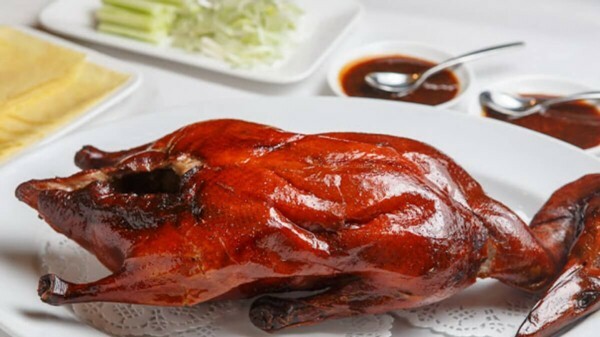 The signature Peking Duck is loved for its crispy skin that simply crackles on every bite! 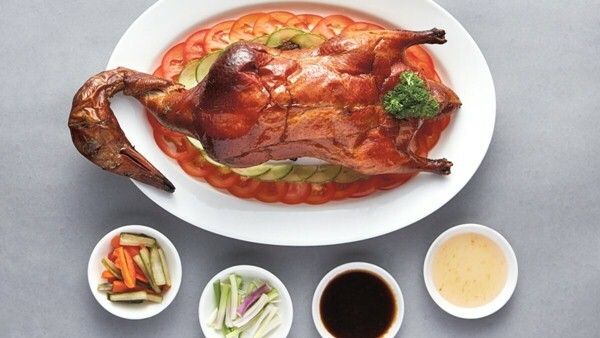 The duck’s flavours will burst in your mouth and make your eyes close in mere satisfaction as it is marinated for hours using traditional methods in homemade sauces and condiments. Despite its crispy skin, the meat is not dry a bit! Its moist and tender flesh will satisfy even the most discerning diners. 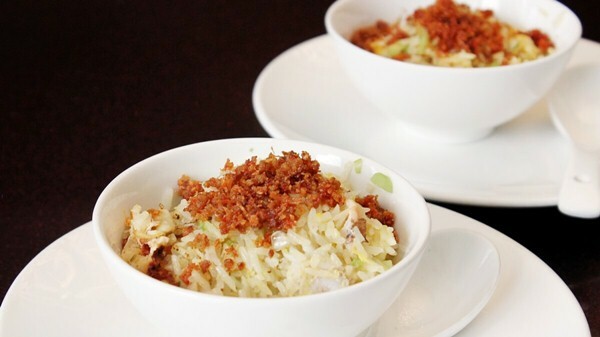 This signature dish is best to serve for 6 – 10 persons. The Crispy Fine Egg Noodles with Fresh Water Prawn will titillate your taste buds with its savoury broth which is enriched by fresh water prawns. The light sweetness and freshness from the prawns, on its own, are enough to allure diners. Being immersed in the broth packed with finest ingredients, the prawns are even hard to resist and pairs perfectly with the crispy fine egg noodles! This Signature Chilled Durian Pancake will gratify you with its creamy and velvety durian cream. 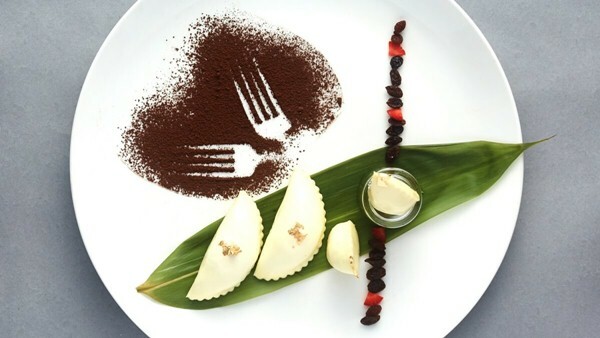 Wrapped in a thin crepe, the durian pancake will give diners a forget-me-not experience as its strong yet pleasing taste will linger on your palate. Take a bite and its smooth filling will not let you down at any moment. This Signature Dish is best to serve for 1 person or 2 sharing. Opening Hours: Mon – Fri: 12pm – 2:30pm, 6:30pm – 10:30pm; Sat – Sun: 11am – 2:30pm, 6:30pm – 10:30pm. 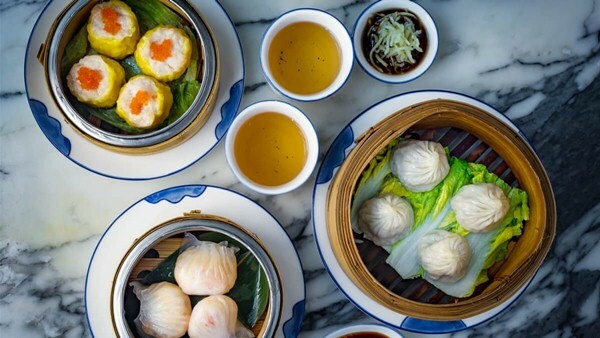 Looking for authentic Hong Kong Dim Sum & Cantonese Cuisine? Royal Canton is the destination you should head to! 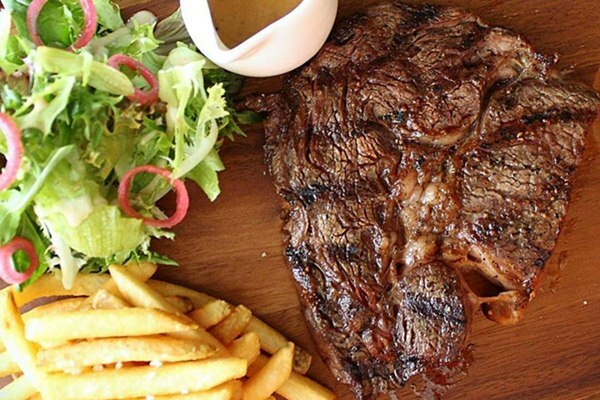 Located at Damansara City Mall, the restaurant still receives rapt attention for their distinctive menus with delectable dishes depicting flair and finesse. The Whole 50 Head Dried Japanese Yoshihama Abalone, Braised is made of dried premium abalone from Japan. The high-quality abalone is comparatively firmer with its distinct and appealing flavor compared to the regular abalone. Take a bite into the well-cooked abalone here and your taste buds will be filled with a briny, complex flavour evoking oceans and sea breezes unlike any others! 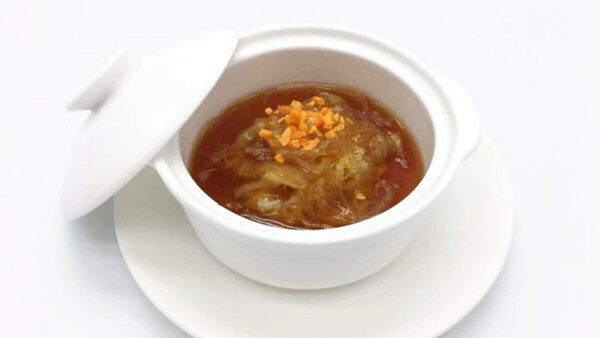 A decent dish for any Hong Kong cuisine lovers – Shark Fin in Clear Superior Soup, Double Boiled! Known as a symbol of prosperity, shark’s fin is also a conferrer of health benefits. 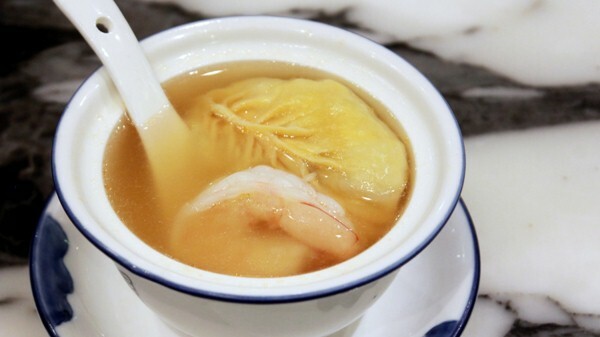 The premium shark’s fin is meticulously prepared before being doubled boil in the restaurant’s superior soup. The mild taste from the fin is well-enhanced by the palate-pleasing flavour of the clear soup, making it a delectable indulgence. This Peking Duck is a dish worth longing for! Diners simply cannot take the eyes off the duck’s impeccable brown-coloured crispy skin. The meat is wrapped in delicate egg crepes with a smear of sweet hoisin sauce, scallion and cucumber to enhance its flavors and taste. Who could resist its juicy, moist and flavorful duck meat under a crispy thin skin? Patrons can then choose one of other serving methods for the rest of the duck meat. This dish needs to be pre-ordered 24 hours in advance, and is best for 4 – 6 persons. Opening Hours: Mon – Fri: 11:30am – 3pm and 6pm – 10pm; Sat & Sun: 10:30am – 3pm and 6pm – 10pm. Location: 2nd Floor, DC Mall, Plaza DC, Damansara City, 6, Jalan Damanlela, 50490 Kuala Lumpur. Reasonable price and scrumptious dishes with a modern twist, ONE Seafood Restaurant has always been a frequent dining spot of seafood lovers. The restaurant’s menu is a rendition of many tasty choice offerings and palate-pleasing specialties using as much local produce as is available – a true heaven for foodies. Remember to try the restaurant’s 3 signature dishes when you pay it a visit. 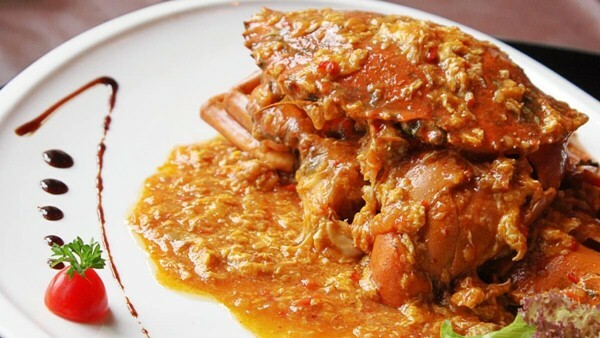 If you are in a mood for crab, you should definitely savour the Braised Crab with Chili here. The meaty and fresh crab is captured on spot and stir-fried with fine condiments before getting coated by a thick and savour gravy. The delight will entice your palate with its slight spiciness and sweetness. The Baked Lobster with Superior Stock is another dish you simply cannot miss! 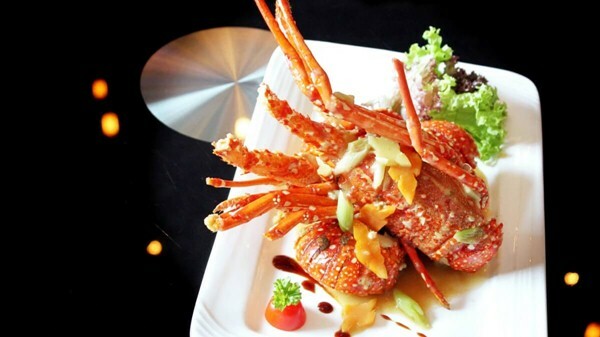 The 500g Sabah lobster is captured fresh from the restaurant’s aquarium before being baked in a superior broth which is prepared 1 week in advance. As being caught fresh, the lobster exudes a natural sweetness that would definitely win diners’ hearts. 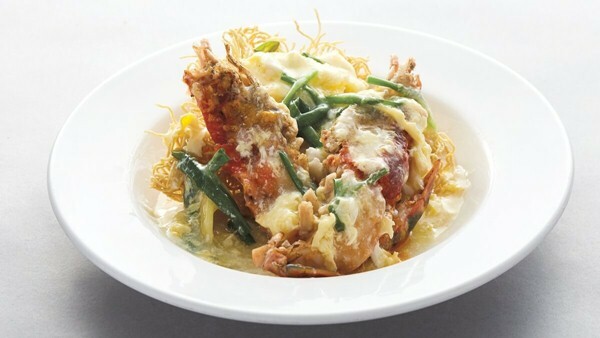 The savoury thick broth enhances the lobster’s exquisite taste and succulent flesh. The Royal Fried Rice – a deluxe version of fine rice, is loved for its scrumptious taste and aroma. Its toppings of delectable crab meat, sweet corn and other fine condiments are set to satiate your taste buds and melt your heart. The dish is served hotly with the restaurant’s chef cooking it right in front of your table! Opening Hours: Daily from 11:30am – 3pm and 5:30pm – 11pm. 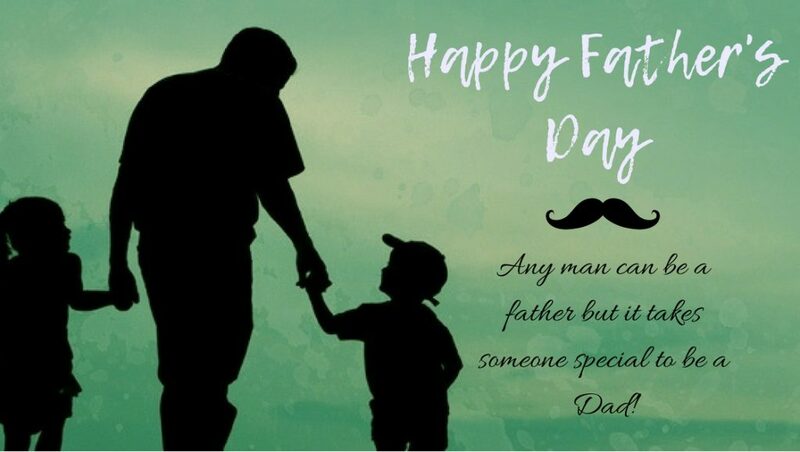 HAPPY FATHER’S DAY TO ALL GREAT FATHERS IN THE WORLD! “A truly rich father is one whose children run into his arms when his hands are empty.” If you are wondering what would make your father happy, remember that the greatest gift for him is to simply receive all your love and care! 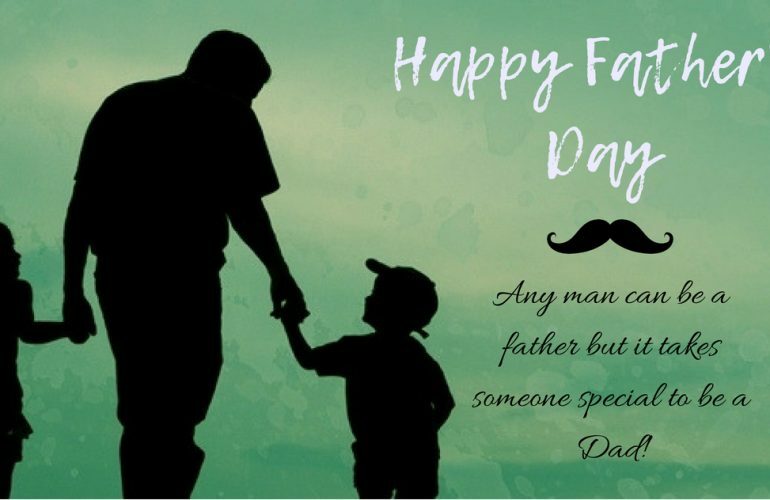 Give him a hug, shower him with your kisses and spend a great dinner with him on this Father’s Day to share stories and laughter! 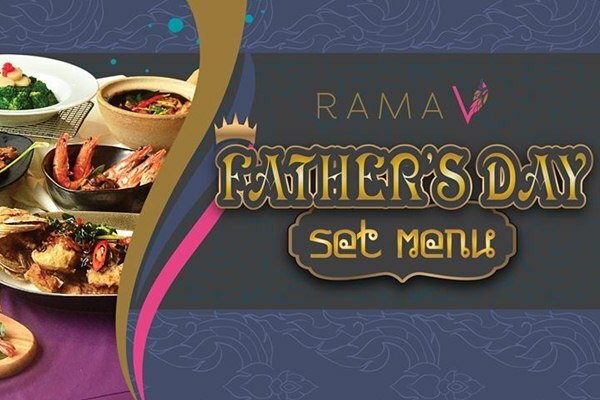 We have hand-picked top restaurants with exclusive promotions only for this Father’s Day 2018 in Klang Valley. Let’s dive in! Yes! 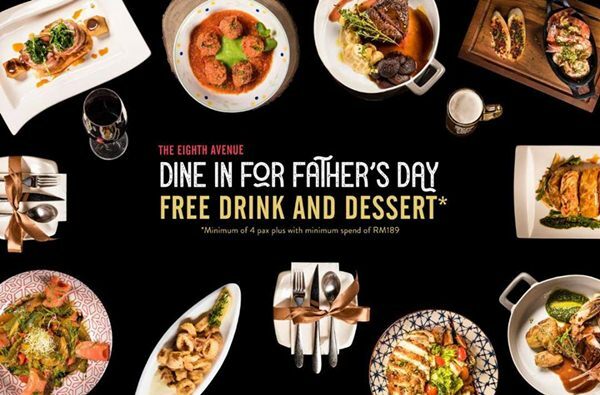 The restaurant will treat your father to a FREE buffet this Sunday. Explore delectable cuisine to tantalize your taste buds and surprise your father with a wide selection of food. 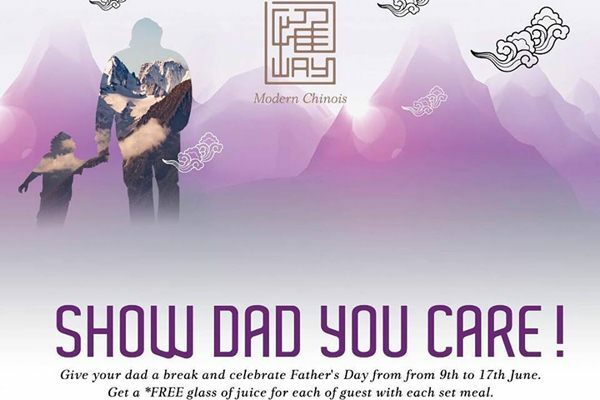 Essence at Sheraton Imperial Kuala Lumpur Hotel will also hold many Father’s Day activities with special prizes to be won. Children can enjoy their Kids’ Corner with their own buffet spread and entertainment. Price: RM123 nett per adult & RM61.50 nett per child (9 – 12 years). Children below 9 eat for FREE. Location: Level 1, Sheraton Imperial Kuala Lumpur Hotel, Jalan Sultan Ismail, 50250 Kuala Lumpur. The chefs at Celestial Court are preparing their best for a hearty 5-star dim sum brunch selection this Father’s Day. Indulge your special father in traditional Cantonese dim sum and other specialities with unique flavors. Free flow of soft drinks and fruit juice for everyone! Add on RM49 nett to enjoy free flow of Heineken Beer. Price: RM138 nett per adult & RM69 nett per child (9 – 12 years). Children below 9 eat for FREE. Location: Level 3, Sheraton Imperial Kuala Lumpur Hotel, Jalan Sultan Ismail, 50250 Kuala Lumpur. If your Dad has a penchant for Mediterranean cuisine, Sapore is the perfect dining spot to savour authentic taste of Italian and Spanish food. 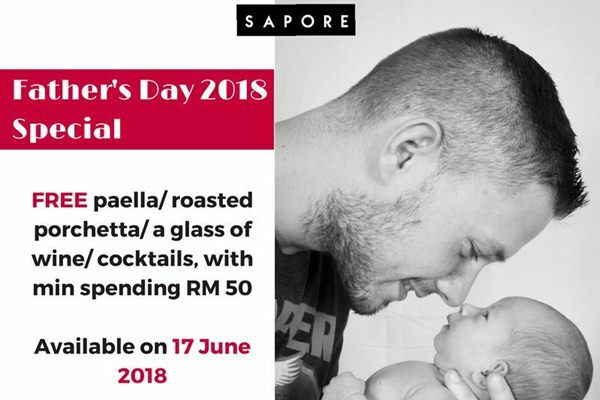 Delight your palate with sumptuous dishes and get your father a free paella/roasted porchetta/a glass of wine/cocktails with a minimum spending RM50. 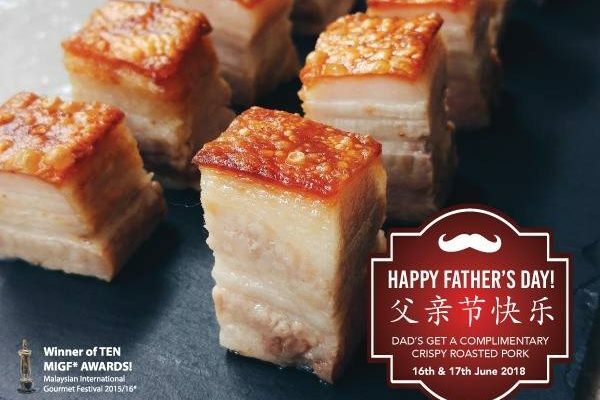 Treat your Dad and your family to Yezi at The Roof‘s premium steamboat and get a complimentary crispy roasted pork that noone can resist! Indulge in the one-of-a-kind coconut-based broth which is implemented by a wide repertoire of organic and semi organic dishes from the farm to table. The unique offering of this specialty coconut-based broths are available in five unique variants including Original Coconut Broth, Imperial Canton Broth, Aromatic Taiwanese Beef Spice Broth, Fragrant ‘Shao Xing’ Wine Seafood Broth and Wild Forest Truffle Mushroom Broth. Fill your Dad with excitement at The Eighth Avenue this Father’s Day! 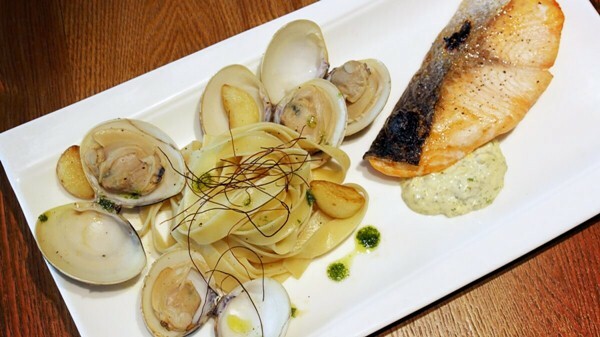 Savour fine local and European food selection in a chic and stylish ambiance. Dad will enjoy a free cocktail/Tiger beer or a glass of wine and a complimentary homemade creme brûlée. This special treat will apply for a minimum of 4 pax with minimum spend of RM189. Time: Until 30 June, 2018. Location: D2-G3-03, Solaris Dutamas, No.1, Jalan Dutamas, 50480 Kuala Lumpur. 6. 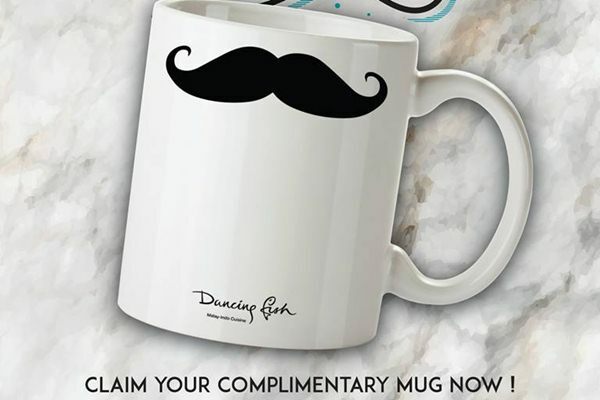 Dad gets a complimentary special mug only at Dancing Fish! 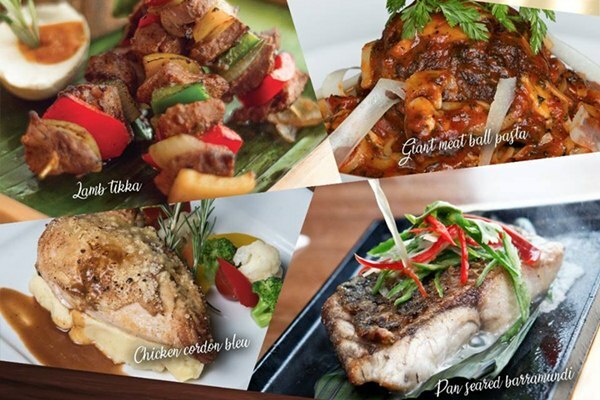 Head to Dancing Fish and the whole family will be overwhelmed with dishes of the freshest and highest grade of ingredients, bringing the true unadulterated and uncompromised flavors of Malaysia and Indonesia. Order Makan Bersama-Sama Set and get your Dad a beautiful mug crafted just for this occasion! Surprise your father with a sumptuous fish “dancing” its way to the table! A fact for you: Rest assured that there is absolutely NO MSG is added to your food. Location: Lot T120-122, 3rd Floor, Bangsar Shopping Centre, 285, Jalan Maarof, Bukit Bandaraya, 59000 Kuala Lumpur. If your Dad is a true gastronome who enjoys stunning views and extraordinary food, Signature at The Roof has everything you could ask for! Take him to the contemporary dining room section to be tantalized by a plethora of Asian and international fusion cuisine or gratify him with award-winning signature cocktails and a great selection of international premium beverages which are carefully concocted. Get a free dish on selected menu items with a minimum of 2 paying customers & with a max of 2 eat-for-free dads per receipt. Time: 16 and 17 June, 2018. If you are looking for a modern cuisine restaurant specializing in contemporary Chinese or Asian cuisine, don’t miss this out! Way Modern Chinois is a classy, sensual brainchild of avid foodies and Chinese food enthusiasts. The essence of Way is modern fine dining Chinese cuisine served with a subtle twist and sophistication. Get a Free glass of juice for each of guest with each set meal from RM498+. Time: From 9 to 17 June, 2018. Fancy a fine dining menu for this Father’s Day? Soleil has got your back! The restaurant is known for its sophisticated fine dining, dishing out authentic contemporary European cuisines weaved with Asian influences. Soleil takes pride in its extensive wine collection, many of which are exclusively hand-picked by the restaurant’s sommelier. Get unlimited orders on starters, main courses and desserts and experience special dishes like the Beef cheek rendang, sweet corn croquette or the Slow cooked John Snapper, Provencal Sauce. The restaurant also gives a 15% discount on all wines above RM200+ per bottle! Time: 17 June, 2018, from 11am – 3pm. Mezze Bar & Bistro will be a great choice for those who are searching for natural produces. The restaurant is also well-known for their wide selection of scrumptious main courses and a vivacious variety of small plates which complement their mouth-watering tapas. You might consider treating your father to an excellent wine, cocktail or whisky as well. This Father’s Day 2018, the restaurant is giving 10% off of all meats on their A La Carte Menu! Delectable dishes are waiting for you here! Get away from the busy district of Kuala Lumpur by heading to the gracious elegance Rama V. Fine Thai Cuisine Restaurant. Your Dad will be overwhelmed with a magnificent pool of lotus blossoms and will be delighted with innovative Thai dishes. Herbs and natural seasonings are used to create a variety of colours and sensations in taste that makes a meal at Rama V memorable, exciting and enjoyable. 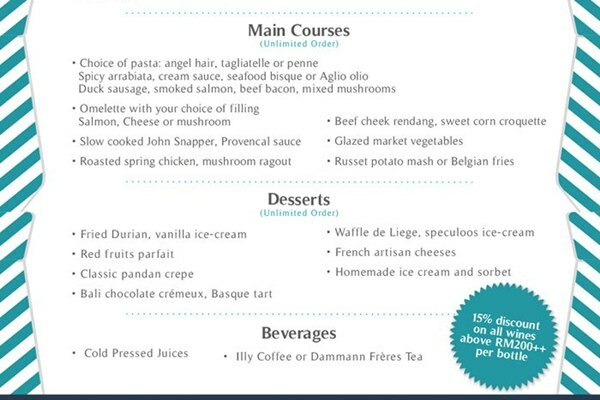 A delicious set menu with items carefully hand-picked only for this Father’s Day is waiting for you! So soak in their favorite Thai Sweet Chili Ribs, the Slowly Baked Squid & Mussels in Thai Herbs and more. A secret special gift will be given to your Dad on this special occassion! Location: No. 5, Jalan U Thant, Kuala Lumpur. 12. A Complimentary Bottle of House Red/White Wine Value at RM268+ at Royal Canton. Here at Royal Canton, you can treat your Dad to authentic Hongkong dimsum and Cantonese cuisine. Royal Canton heralds the reincarnation of the Canton Fare brand as a distinctive destination for Hong Kong-style Cantonese cuisine. Get his mind blown with the premium dim sum that would definitely satisfy even the hardest customer! 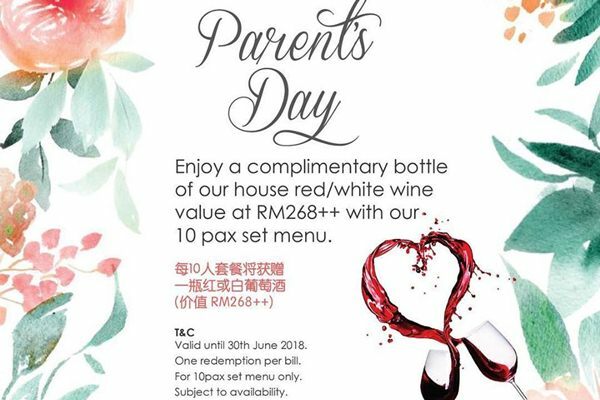 A complimentary premium wine worth RM268+ will be given to him with the restaurant’s 10 pax Father’s Day set menu (one redemption per bill). Located a mere stone throw’s away from KLCC and Bukit Bintang, Bijan is the ultimate destination for fine Malay cuisine. In this holy month, chef Shawal and his culinary team will feature 4 rotating menus staying true to their theme ‘Kampung Warisan Buffet’. The menu showcases unique dishes from different regions in Malaysia and local delicacies in a fine balance of tradition and innovation. 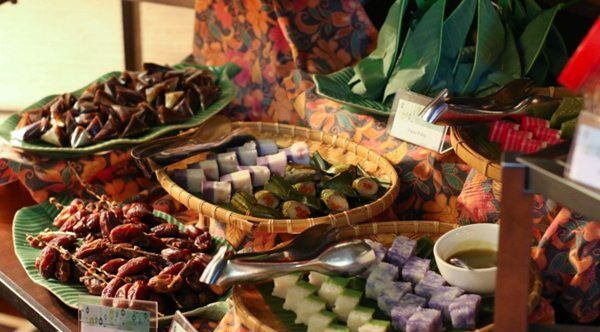 Feast your eyes with a concoction of sumptuous delights, live-cooking and carving stations and don’t forget to indulge yourself in old favorites of Cucur Kodok, a variety of Sambal, Asam Pedas Daging Tetel, Gulai Ayam Kampung, mouth-watering Kerabu and other dedicate desserts. Diners are entitled to a special early bird promotion at RM100 nett per person for all reservations made via TABLEAPP before 21 May, 2018. 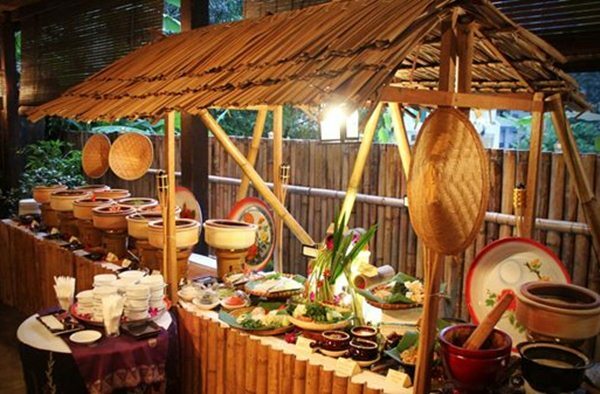 The ‘Kampung Warisan buffet’ will tempt the palate, fire the imagination and satisfy the most adventurous appetite. Buffet from 7pm – 9.30pm; A-la-carte menu from 9pm onwards. In this month of giving, Vasco’s at Hilton Kuala Lumpur will delight your heart with a spread of all-time favorite and nostalgic of local delights from states in West Malaysia. Over 200 dishes will be served in a tranquil ambience, taking you to a cultural journey through celebratory cuisine. 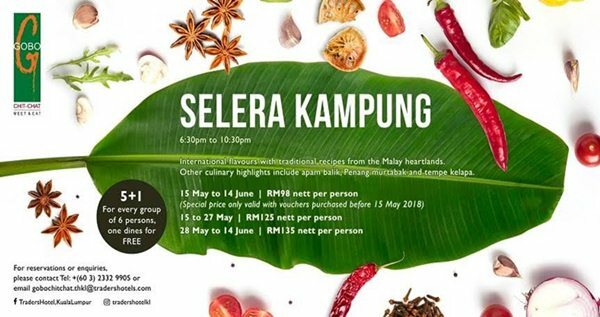 Entice your palate with sumptuous dishes such as Nasi Dagang Ulek Mayang, Ayam Masak Lemak Rebung Joget, Ikan Patin Sungai Tempoyak Gurindam, Spicy Sambal Tumis Udang Harimau Dengan Petai Berangkai and more. Diners are entitled to a special early bird promotion at RM100 nett per person for online reservations with full prepayment from 17 May – 21 May, 2018 and from 13 June – 17 June, 2018. Gather your loved ones and break fast together at Vasco’s, Hilton Kuala Lumpur at their ‘Kenduri-Kendara’. Time: From 17 May – 17 June, 2018. Early bird at RM100 nett per person for online reservations with full prepayment from 17 May – 21 May, 2018 & 13 June – 17 June, 2018. As one of the best all-day dining and international buffet restaurants in Kuala Lumpur, Gobo Chit Chat is ready to offer diners a variety of Malaysian cuisine such as Kerabu, Ulam-ulaman, Beef Rendang, Ayam Masak Merah and many more to celebrate this Ramadan 2018. Don’t forget to indulge yourself in international dishes such as Roasted Leg of Lamb, Grilled Seabass with Salsa as well as sumptuous Japanese Sushi and Sashimi. Preparing to be delighted by their culinary highlights this year including Apam Balik, Penang Murtabak and Tempe Kelapa. The restaurant has a private dining room that can seat up to 10 guests. Diners are entitle to a special price of RM98 nett per person for all reservations made via TABLEAPP before 15 May, 2018. A 50% deposit of RM49 nett per person is required upon reservation. Time: From 6.30pm – 10. 30pm; 15 May – 14 June. Location: Level 5, Traders Hotel Kuala Lumpur, Kuala Lumpur City Centre, 50088 Kuala Lumpur. 28 May to 14 June: RM135 nett per person. Promotion: 5 + 1 – for every group of 6 persons, 1 dines for free. Head to The Mill Café at Grand Millennium Kuala Lumpur and you will be overwhelmed with their special celebration inspired by Malaysia’s melting pot of culture in this holy month. The hotel will feature a feast for the senses with 300 authentic delights such as Rendang Daging, Kawah Kari Kepala Ikan, Ayam Golek, Bubur Lambuk, Lemang, Premium Roasted Beef, Whole Roasted Tandoori Lamb and more. Capturing the true essence of Hari Raya, the restaurant’s Executive Chef Laurent Lherisson and other culinary experts will seduce your taste bud with colourful spices and exquisite flavours of Malaysian cuisine with an array of traditional dishes. Those with a sweet tooth can visit the dessert bar featuring an assortment of Sticky Date Pudding, Pengat Pisang, Bubur Serawa and many others. Early bird vouchers are available from now until 15th May 2018 at RM 118.00 nett each. Time: Available from 7:00pm to 10:00pm, from 16th May to 14th June 2018. Price: at RM158.00 nett per person, early bird at RM118 until 15 May, 2018. For an even more exclusive experience, opt to dine in a semi private area that overlooks the hotel’s lobby at only RM168.00 nett per person and enjoy a private dome set in addition to our buffet offerings. 5/ ‘Juadah Nusantara’ at Cinnamon Coffee House, One World Hotel. If you are looking for a buffet of vibrant tastes, gastronomic delights amidst a contemporary setting, the award-winning Cinnamon Coffee House should definitely be on your list. A feast for your eyes and palate as you can watch talented chefs in action while savour a myriad of irresistible delicacies. 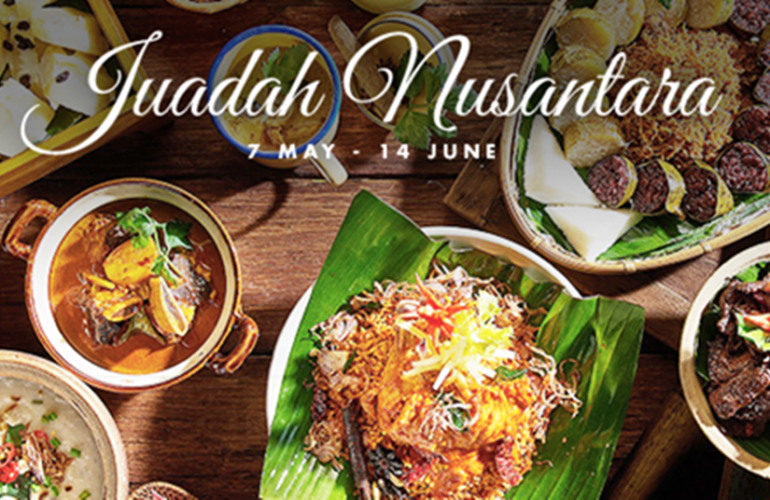 In this holy month, Executive Sous Chef, Saiful, and his culinary team will make a special ‘Juadah Nusantara’ buffet featuring authentic and unique local flavors. Starting off with the delectable Acar, Kerabu, Ulam-ulaman then gratify your soul with Rendang Ekok Lembu, Gulai Hati Lembu, Ayam Percik, Ketam Kalio. Don’t forget to have a taste of the melt-in-the-mouth Buttered Prawn as well. Finally, you can end with a sweet treat of assorted delectable desserts from cakes, pastries to ice cream. Time: From 6.30pm – 10.30pm; 07 May – 14 May, 2018. Location: Level C, One World Hotel, First Avenue, Bandar Utama City Centre, 47800 Petaling Jaya, Selangor. From 07 May – 14 May, 2018: RM140 nett per adult; RM70 nett per child. From 15 May – 14 June, 2018: RM168 nett per adult; RM83 nett per child. Happy Mother’s Day to all the beautiful mothers in the world! We all have endless love for the greatest women in our life, yet it’s never abundant to shower them with extra love and gifts on this special day! 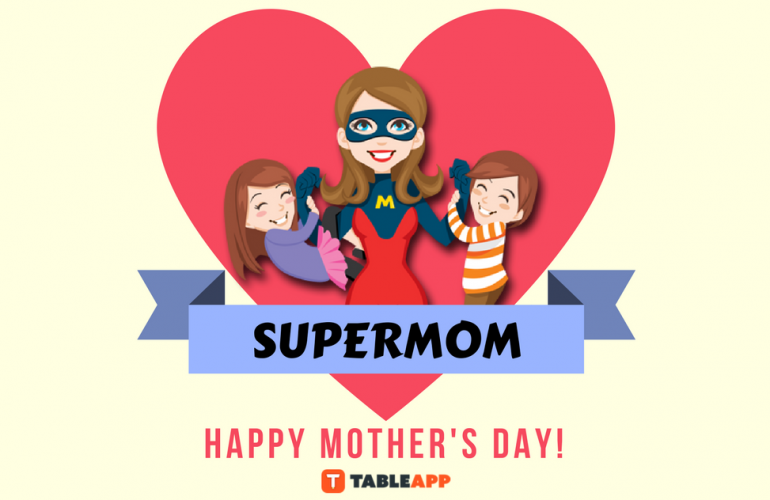 It’s time to treat your Mom to delectable food and show her how she means to you by opting to one of these Top Restaurants to Celebrate Mother’s Day 2018. If your Mom gravitates towards an authentic taste of Italian and Spanish food, Sapore should be one indispensible restaurant on your list. You may want to treat her to their sumptuous Suckling Pig Porchetta or melt her heart with their remarkable Hot Tapas. On Mother’s Day, the restaurant is ready to surprise your Mom with complimentary gifts perfectly chosen for this special occasion! 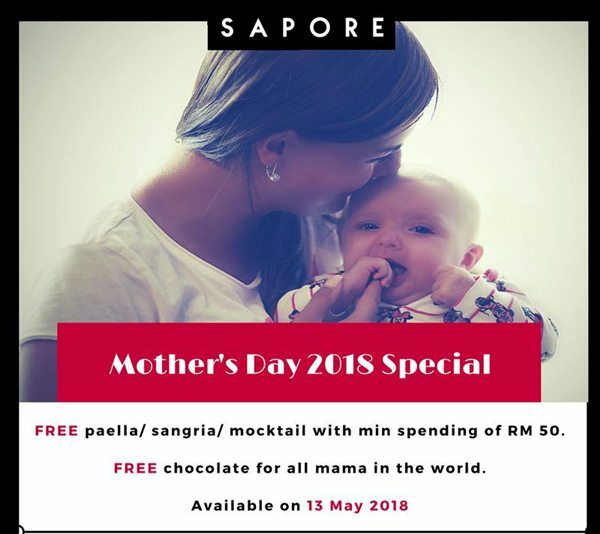 A Free Paella/Sangria/Mocktail for your family with minimum spending of RM 50. And what’s more special than giving your Mom the sweetest molten goddess – chocolate? Yes, the restaurant is going to give Free chocolate for all mama in the world! A paper quilling workshop will also be held at the restaurant for family bonding time! Time: Available on 13 May, 2018. Believe in your eyes because you’ve seen it correctly! On this special day, all mothers can savor Signature’s limited menu items for Free! 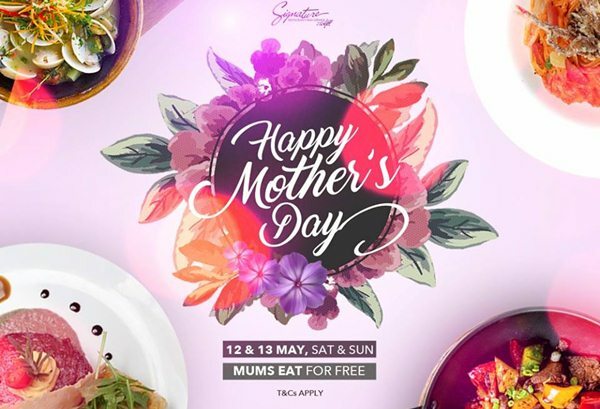 You can now indulge your Mom in gastronomic dining experience, enjoy award-winning signature cocktails and exquisite delights while worry less about the cost! The menu items include Chicken Cordon Bleu with Salted Egg Sauce; Pan Fried Salmon with Seafood Turmeric sauce, Vegetables & Mashed Potatoes; Smoked Duck Aglio Olio with Arugula and Slow Braised Lamb Shank! The promotion perfectly suits a family get-together as it is applicable to 1 Mom with minimum of 2 paying customers. Time: Available on 12 May and 13 May, 2018. 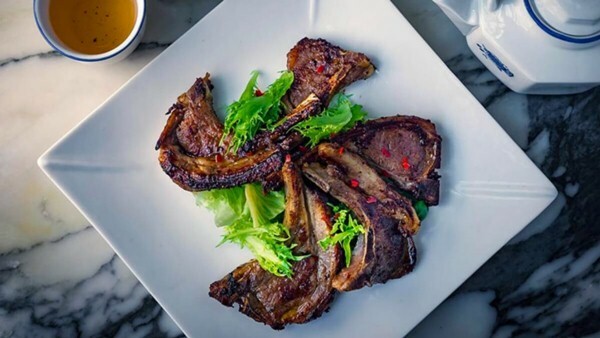 To reward all Moms with a day to remember, the Zuan Yuan’s maestros rise to the occasion and offers three set menus available for lunch and dinner. Expect dishes like the Braised 18 head Abalone and Homemade Bean Curd with Superior Oyster Sauce, Oven Baked Tiger Prawn with Cheese, Garlic and Butter Sauce, Braised Fish Maw Soup “Fook Chow” Style with Abalone and Chilled Mango Puree with Pomelo and Sago topped with Vanilla Ice Cream to satiate the appetite. Time: Available from 7 May to 13 May, 2018. Location: Level G, One World Hotel, First Avenue, Bandar Utama City Centre, 47800 Petaling Jaya, Selangor. Price: RM688.00 nett for 4 pax, RM888.00 nett for 6 pax and RM1488.00 nett for 10 pax. Thinking of a place to celebrate a heart-warming Mother’s Day with your beloved mother? Treat your Mom to a feast at ROCKU Yakiniku as the restaurant is having a special promotion for the whole family! The restaurant is also famous for its wide range of tantalizing cuts of meat air-flown all the way from Australia and New Zealand. 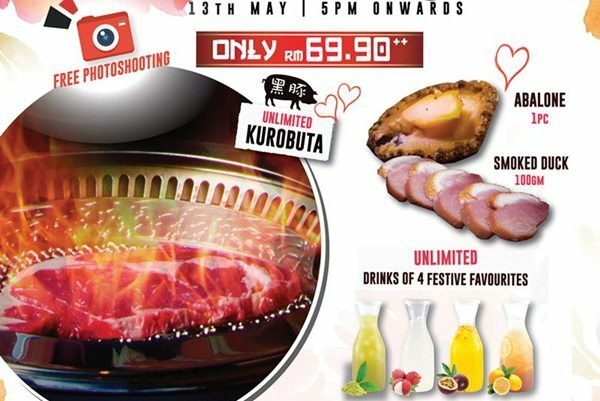 On this Mother’s Day, treasure your Mom for her unconditional love by indulging herself and the whole family in unlimited Kurobuta Pork, 1 piece of Abalone, 100g of Smoked Duck and unlimited 4 Festive Drinks only at RM69.90++! Don’t forget to entertain your Mom with live band performances that play various genres of music such as Pop-Rock, Acoustic and Jazz in a casual, upbeat ambiance! Time: Available from 5pm onward on 13 May, 2018. *Optional to purchase on the 11th and 12th (lunch / dinner session). Rocku Yakiniku Pavilion, Lot 07.01.03, Level 7, Pavillion Kuala Lumpur, 168, Jalan Bukit Bintang, 55100 Kuala Lumpur. Rocku Yakiniku 1 Utama, Lot F355/356/357, First Floor, Rainforest, 1 Utama Shopping Centre, 1, Lebuh Bandar Utama, 47800 Petaling Jaya, Selangor. 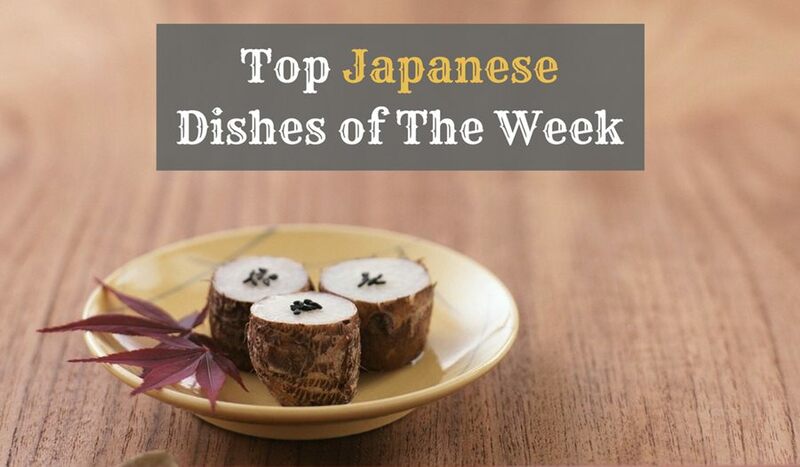 You don’t need to take you Mother all the way to Japan to savor authentic foods! 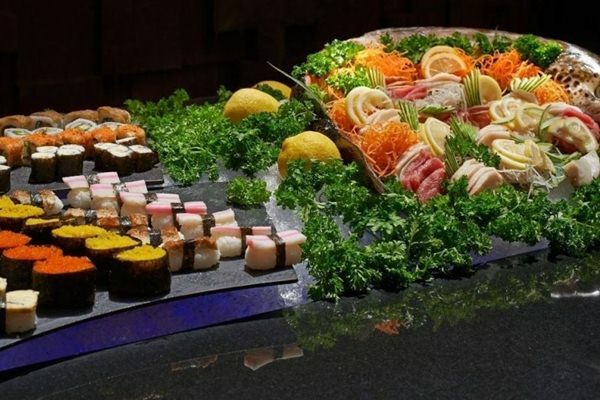 Head to Genji for a genuine taste of Japan right in PJ with hand-picked air-flown produces made into traditional Kaiser sets, lunch and dinner buffet. This award-winning restaurant is preparing a memorable buffet lunch for your awe-inspiring woman this Mother’s Day! 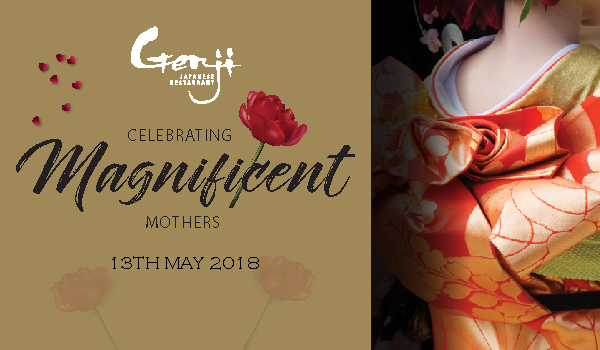 Your Mom will have great fun learning how to wear a Kimono and have the chance to win attractive prizes for being the best-dressed mother! First 10 mothers wearing kimono will be entitled for 50% off! Time: Available from 11.30am to 2.30pm on 13 May, 2018. Location: Level 1, Hilton Petaling Jaya, 2 Jalan Barat, PJS 52, 46200 Petaling Jaya, Selangor. Price: RM179 nett per adult; RM85 nett per child. 15% off for HPC members and participating credit cards.